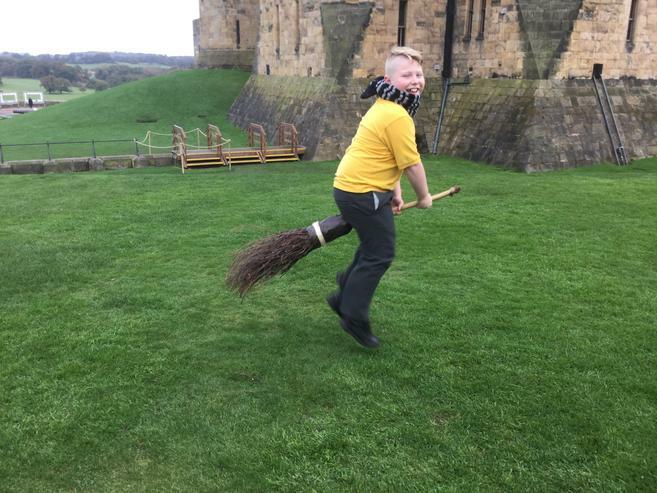 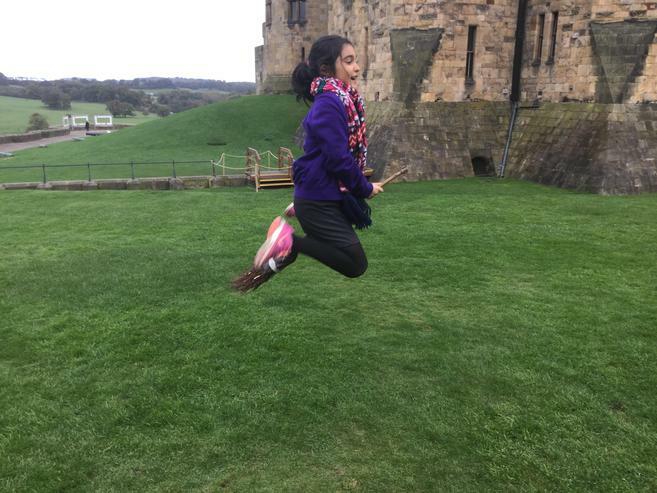 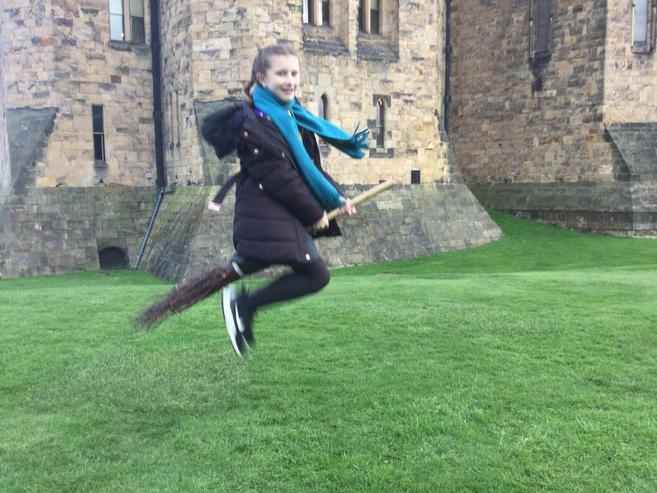 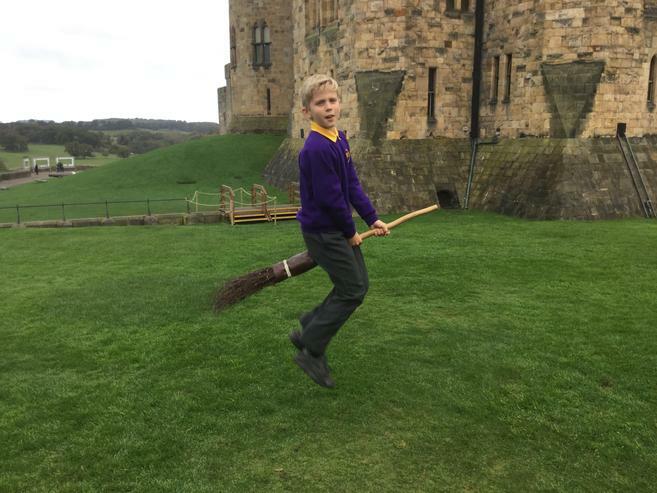 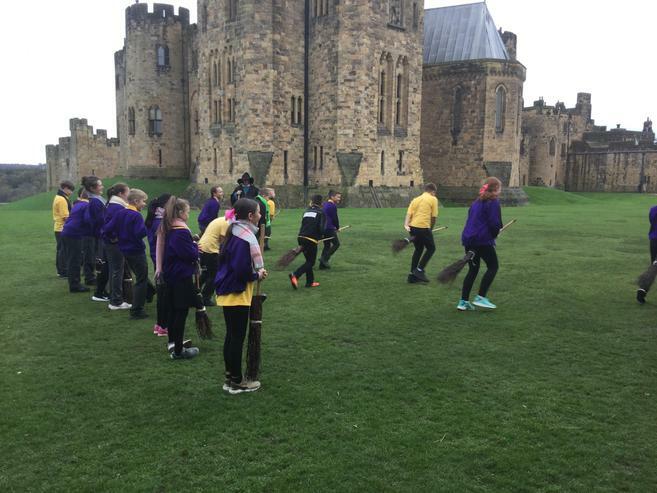 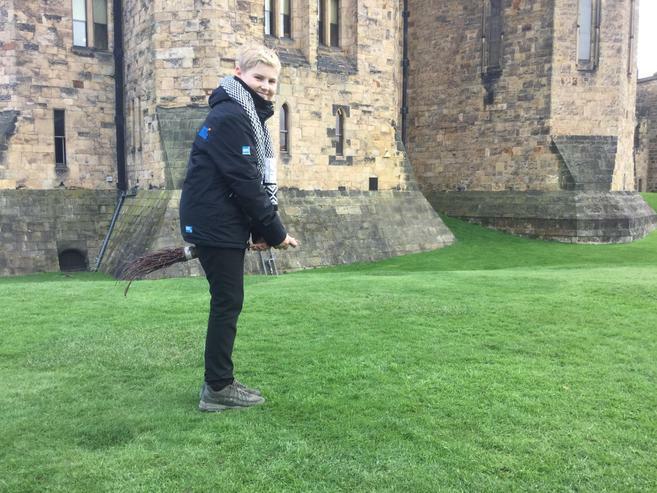 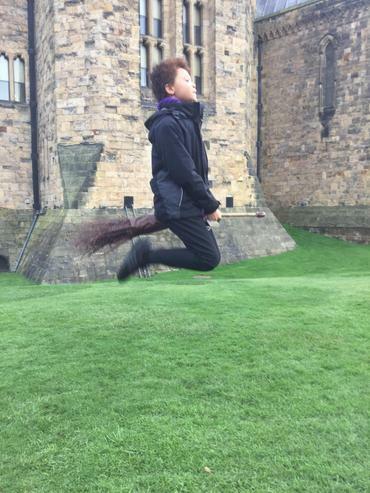 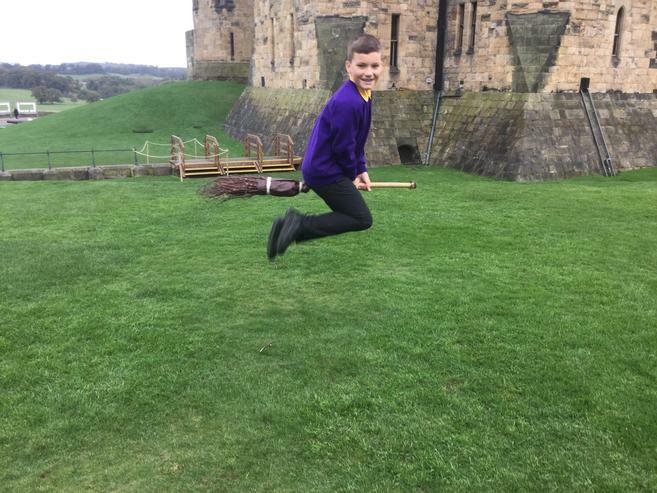 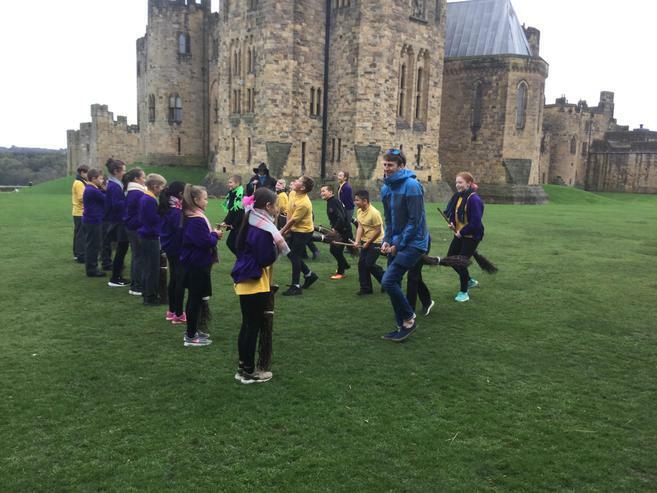 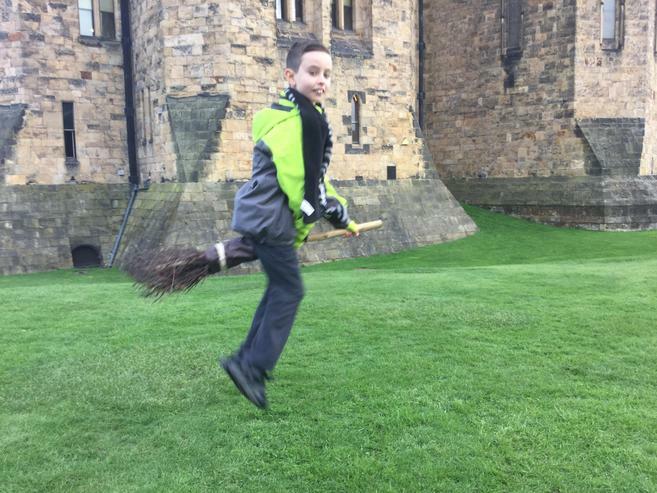 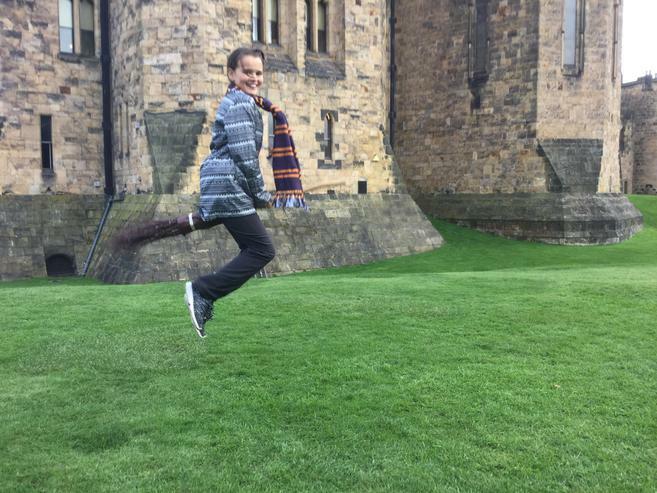 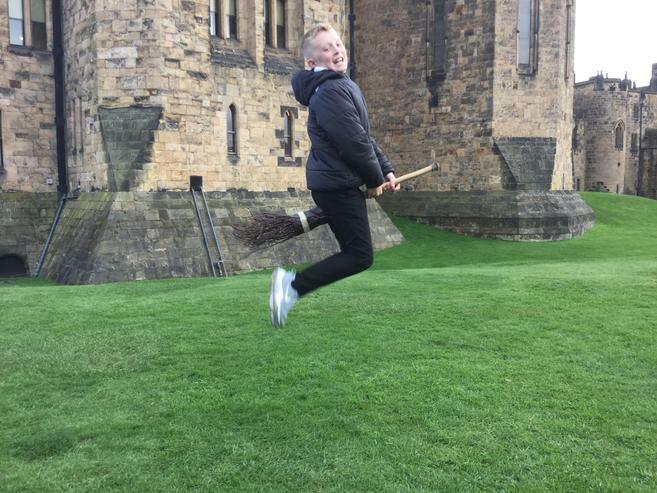 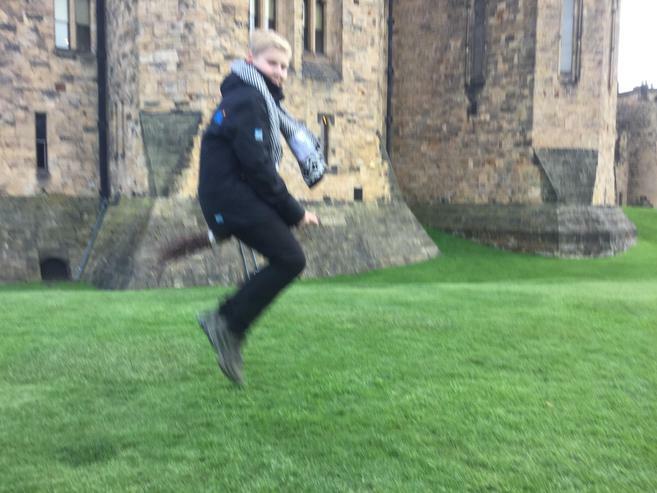 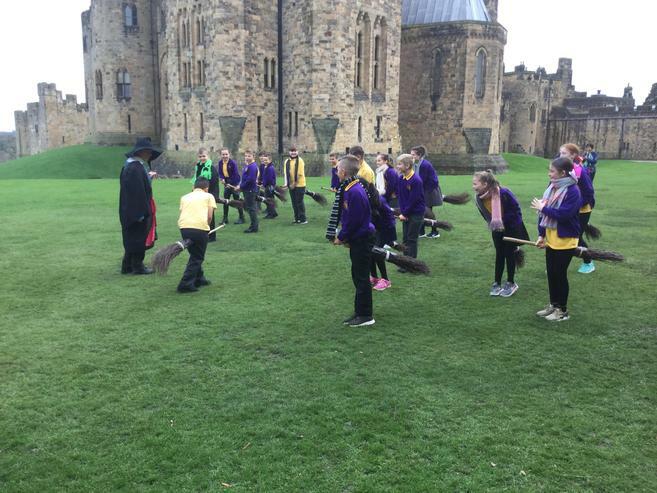 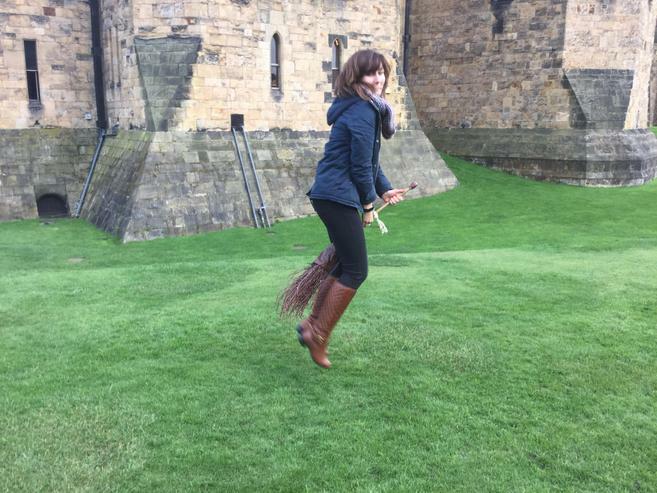 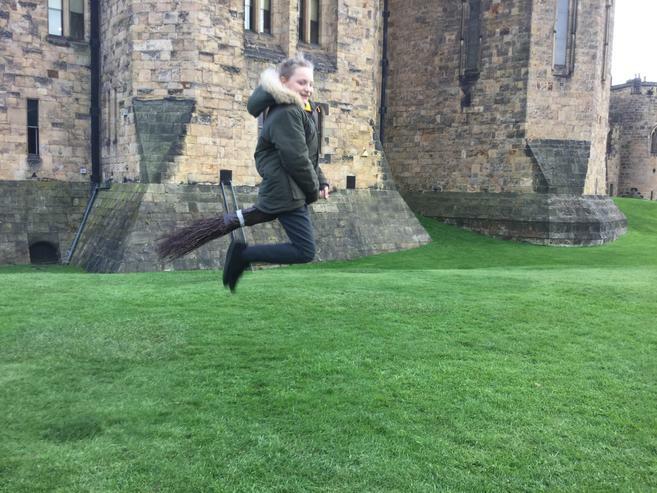 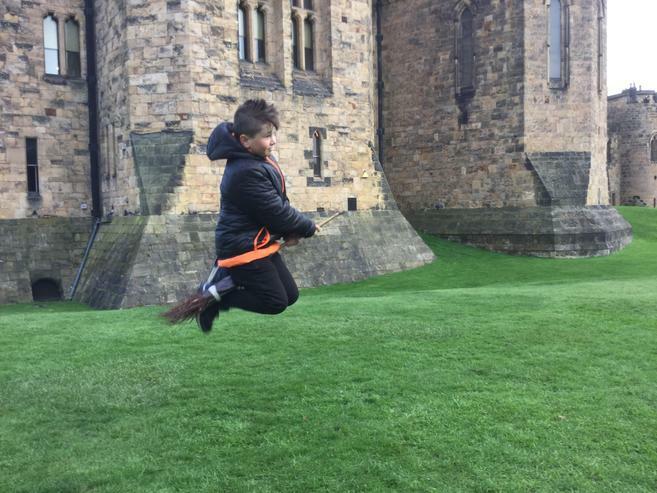 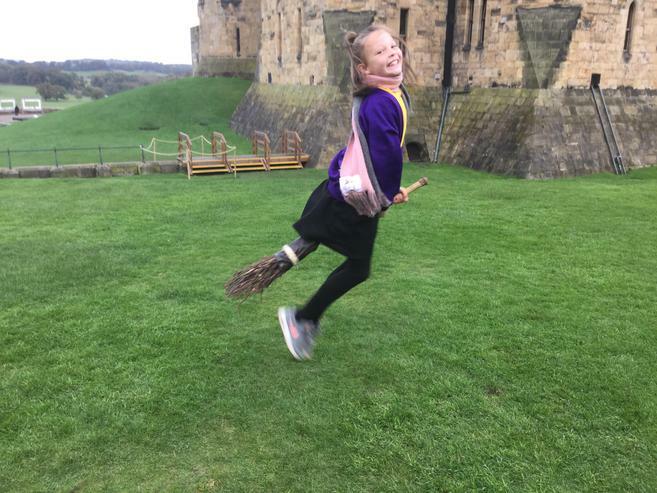 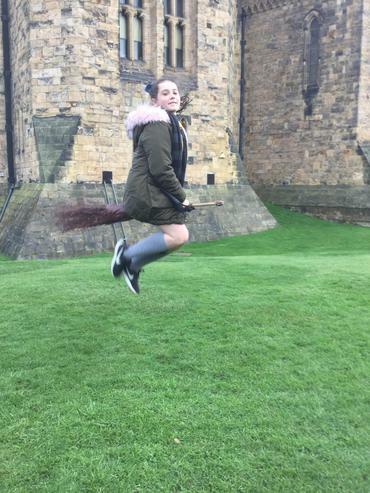 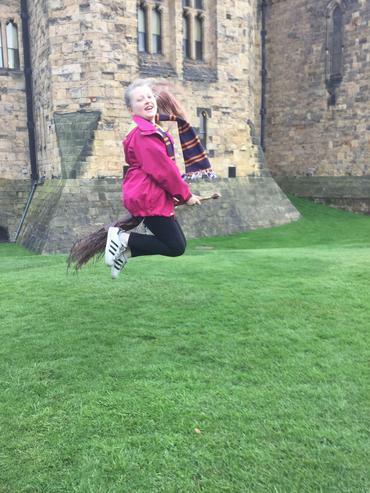 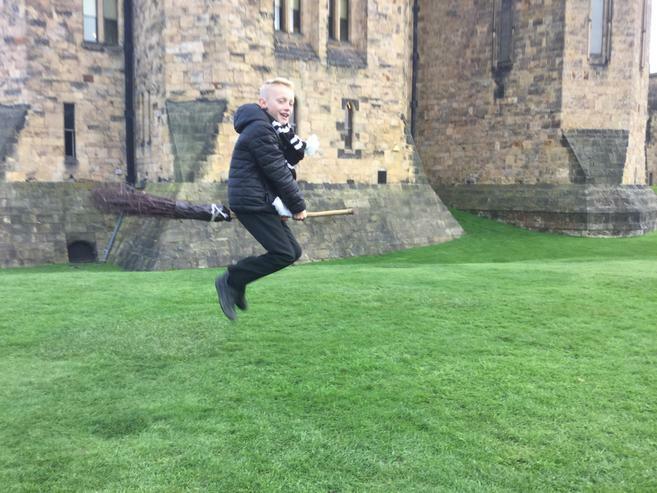 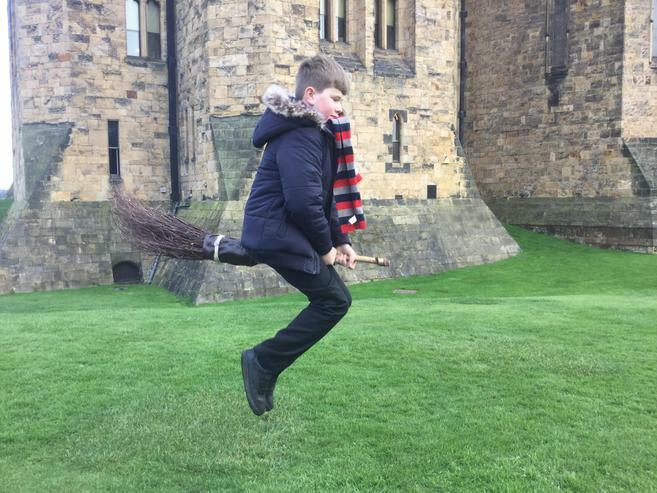 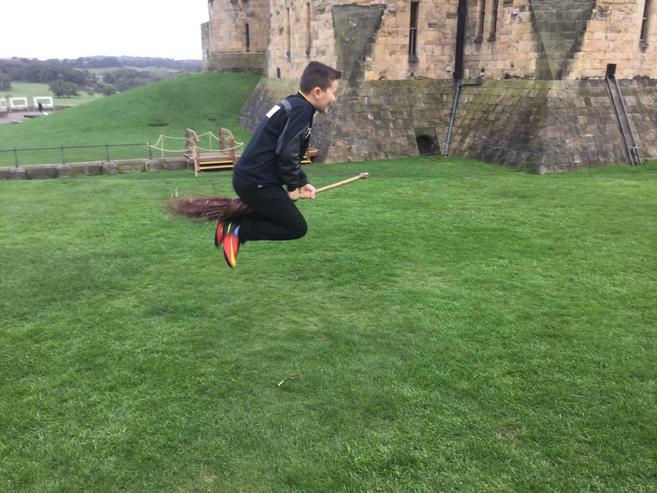 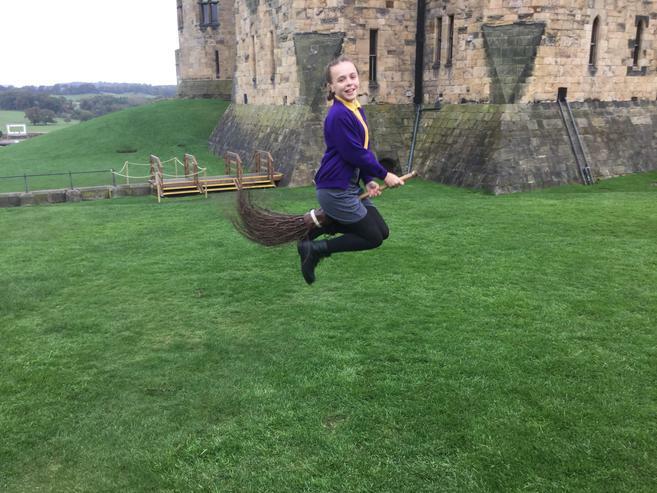 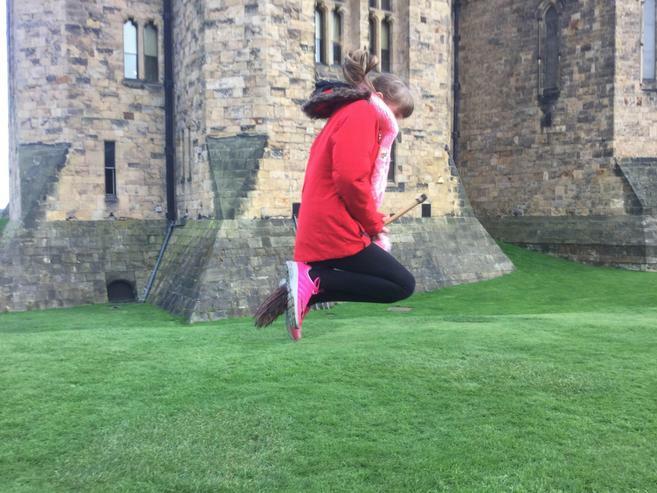 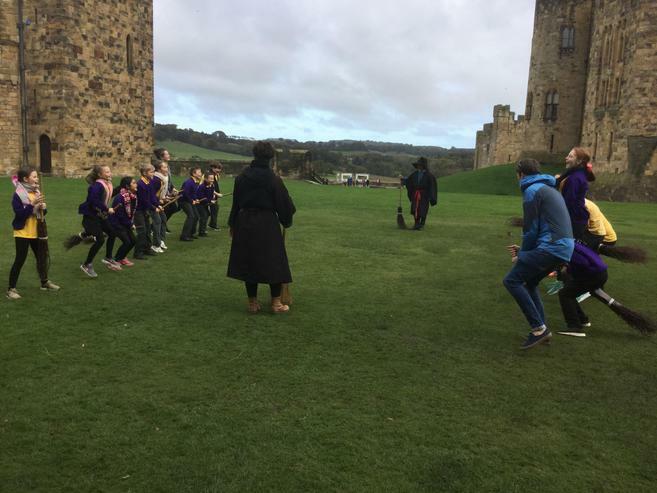 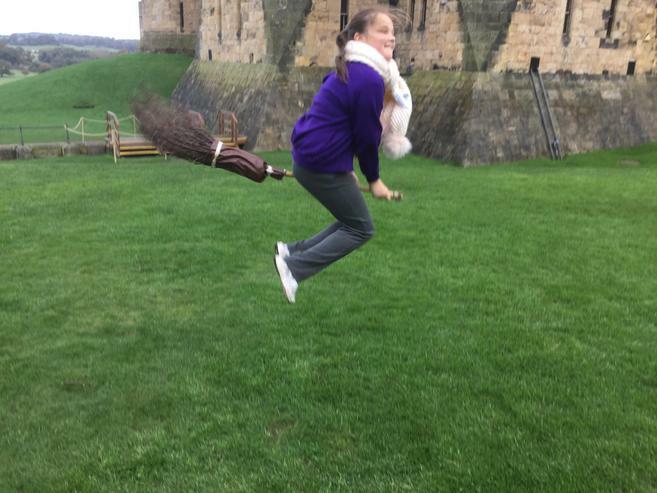 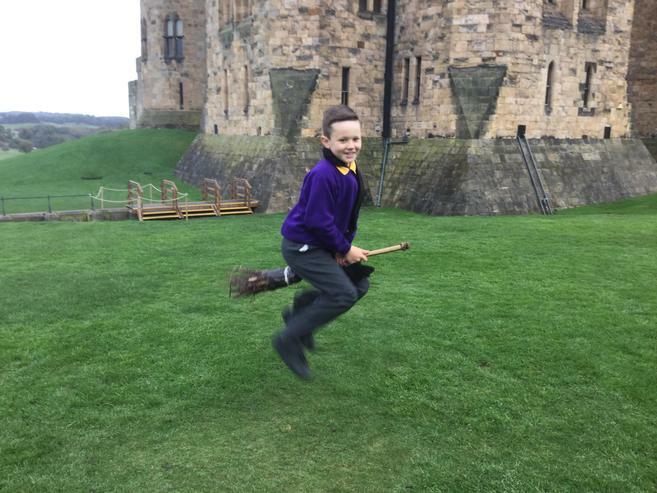 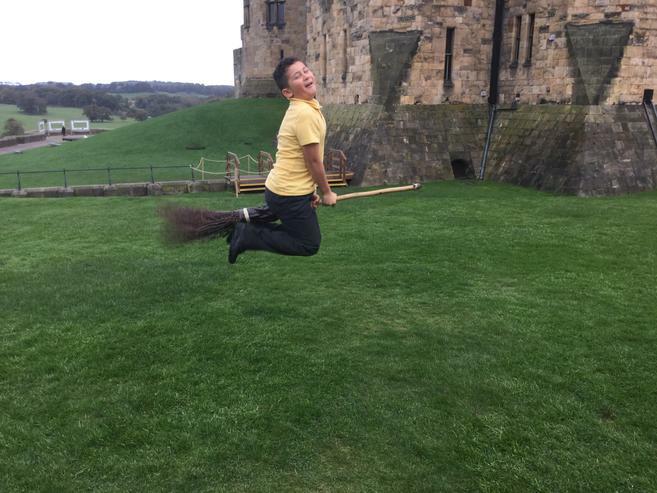 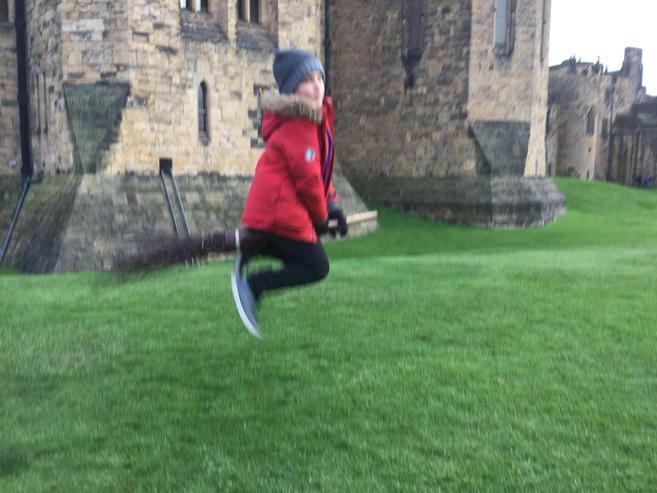 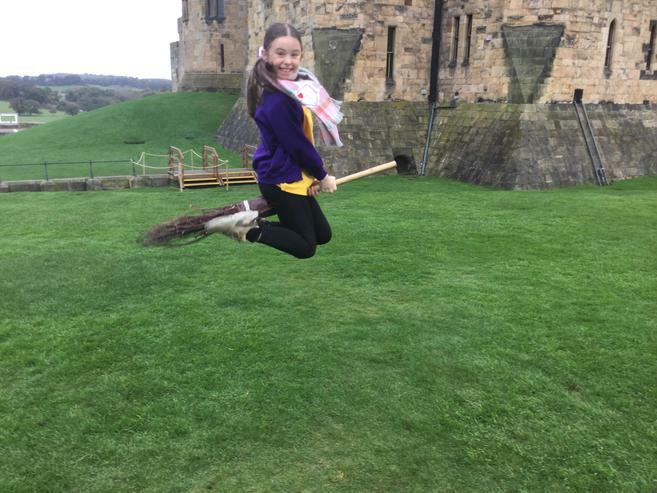 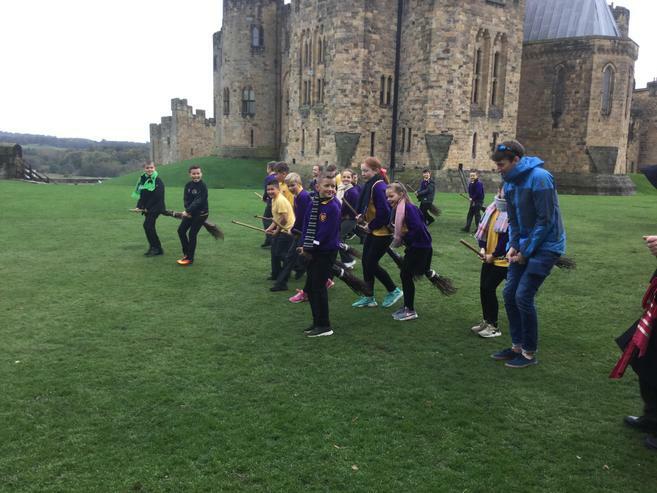 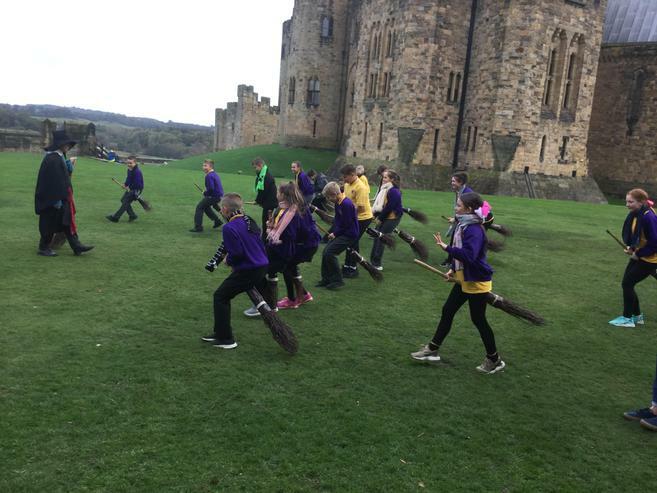 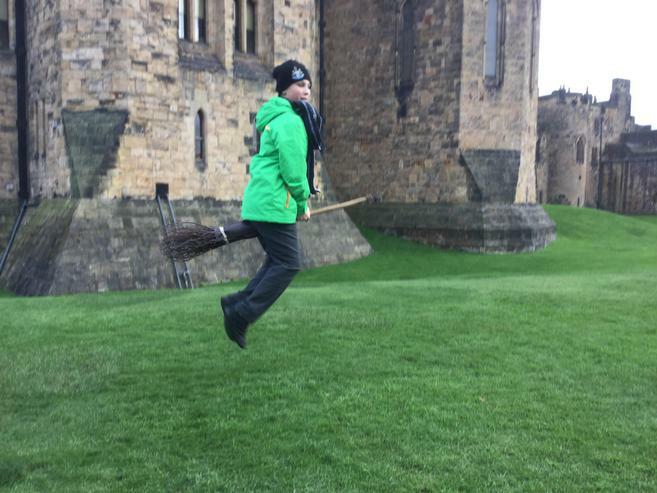 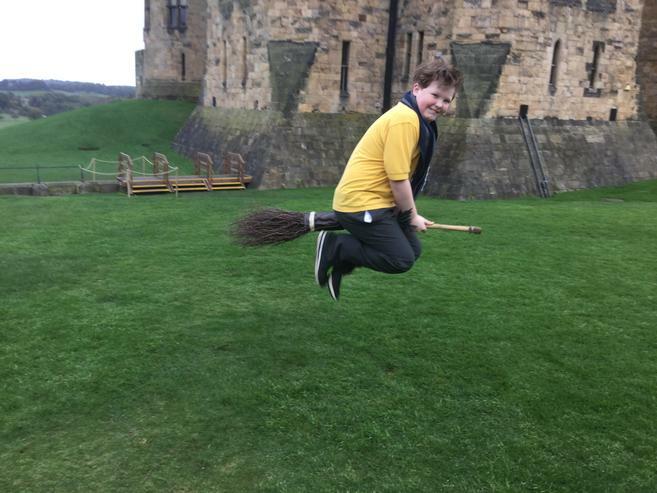 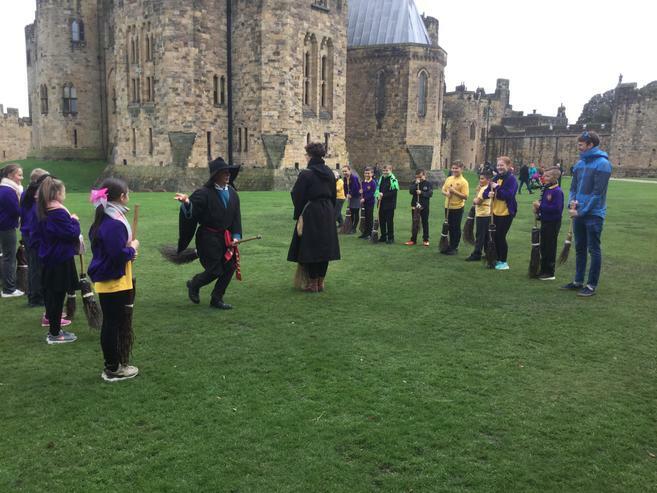 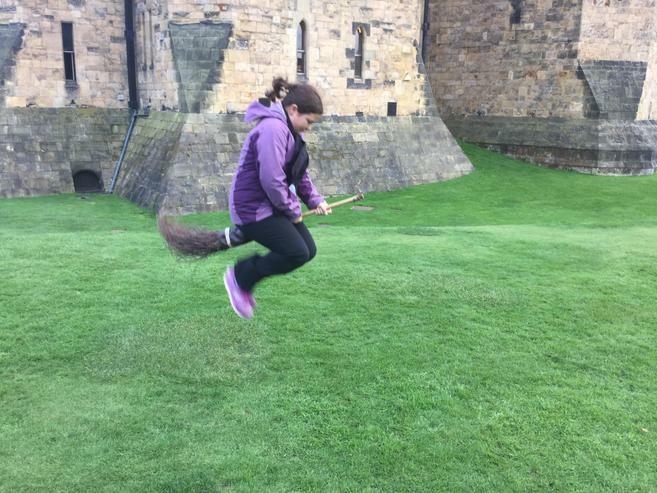 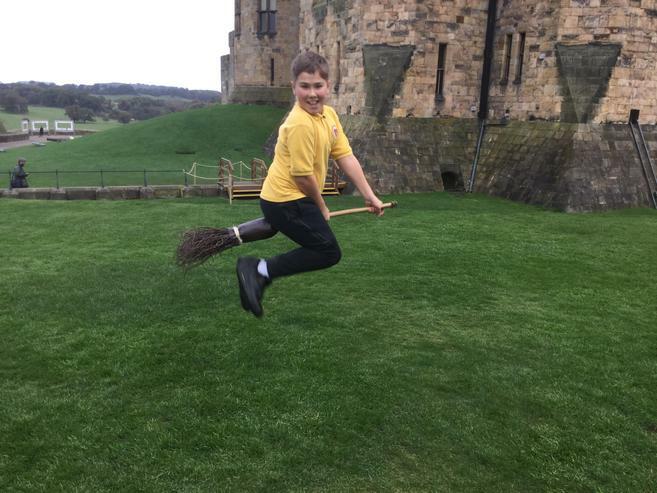 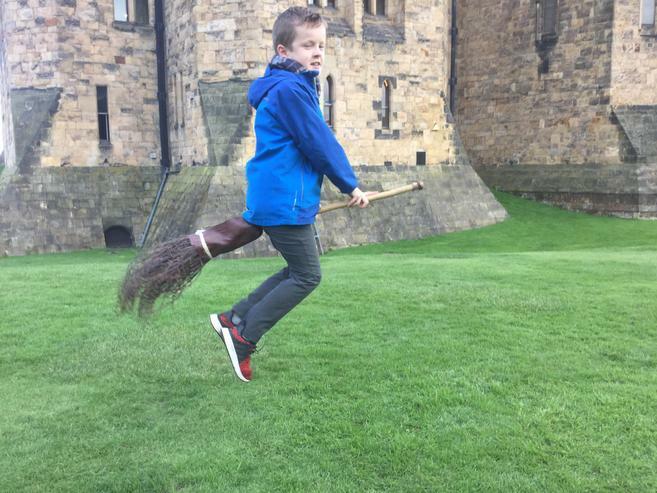 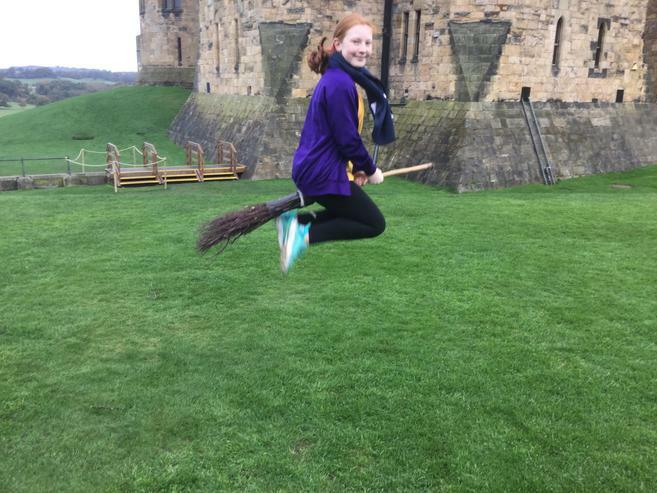 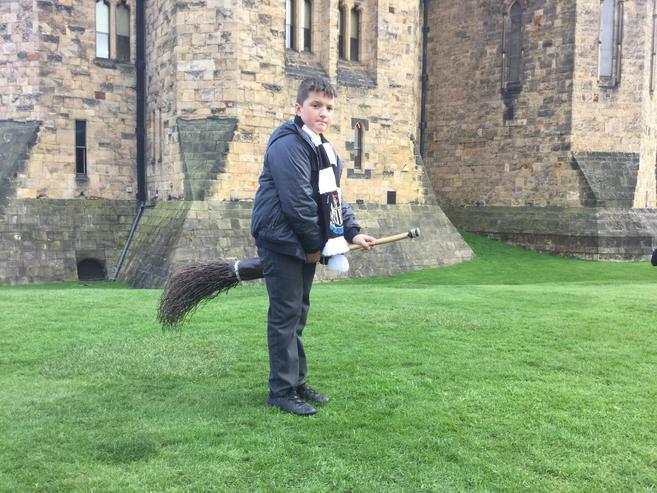 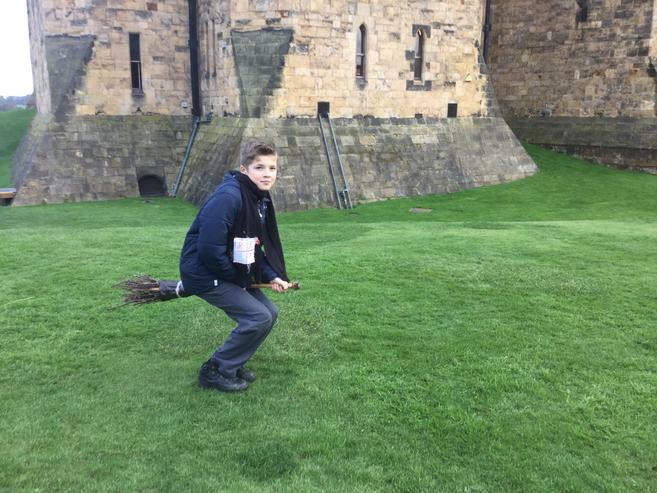 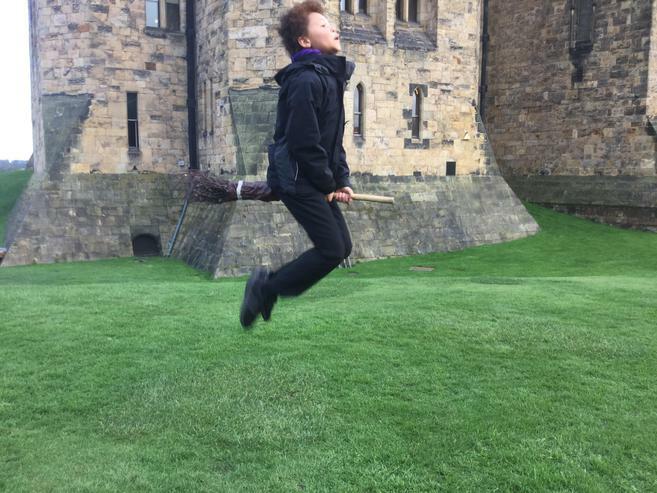 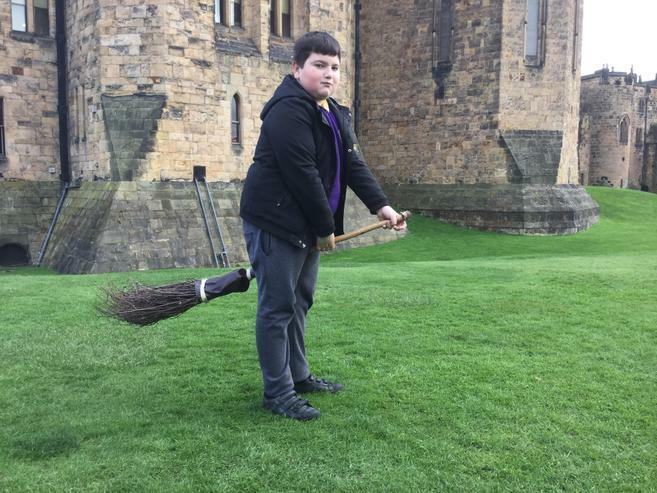 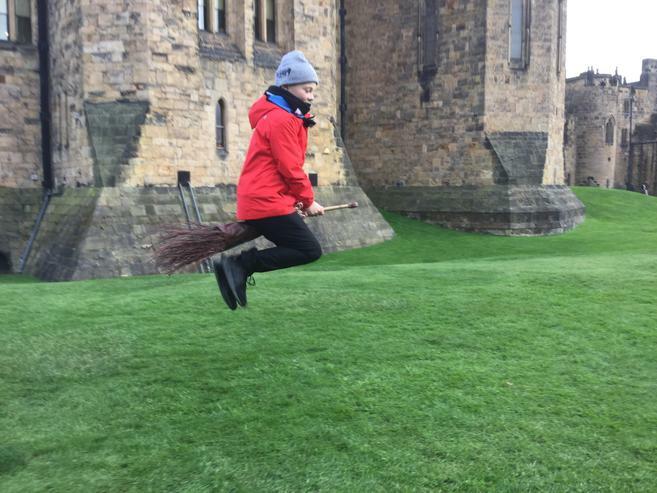 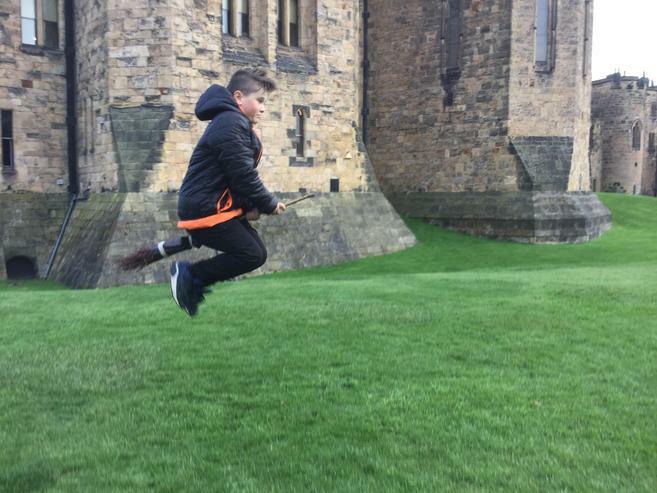 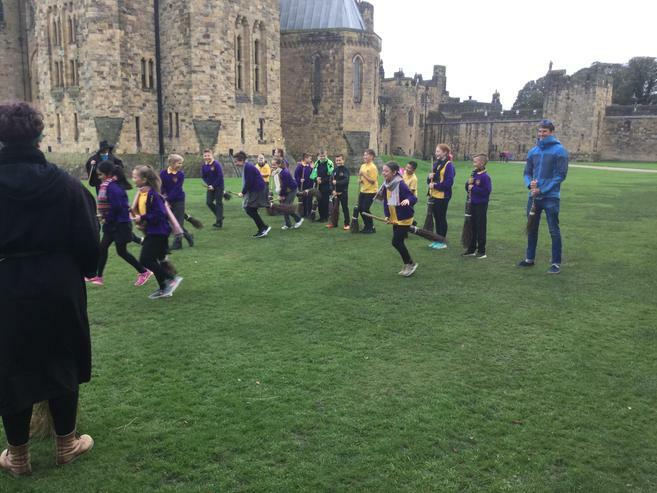 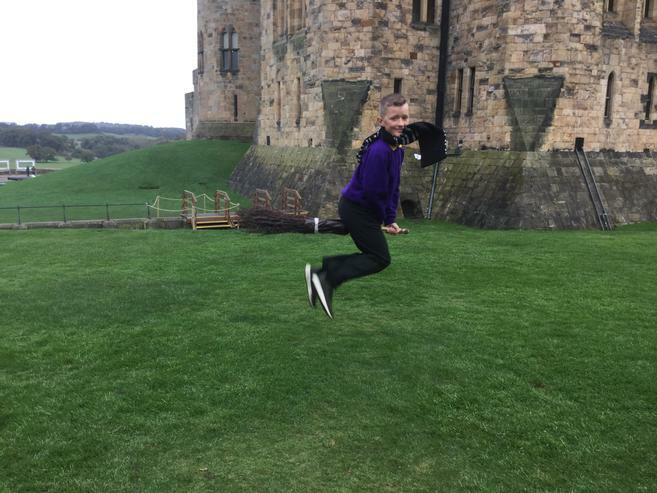 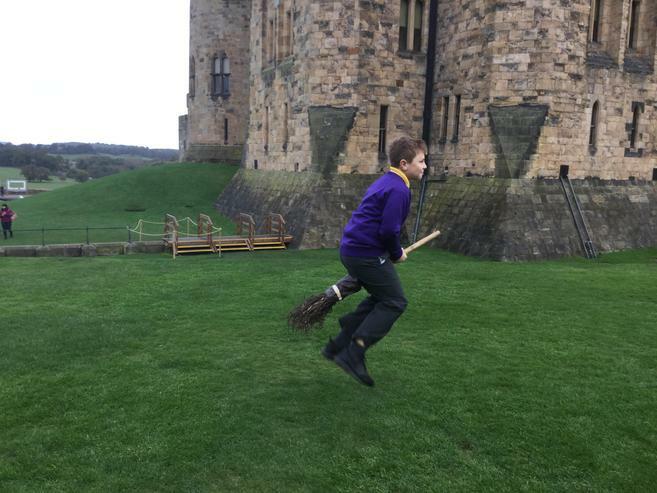 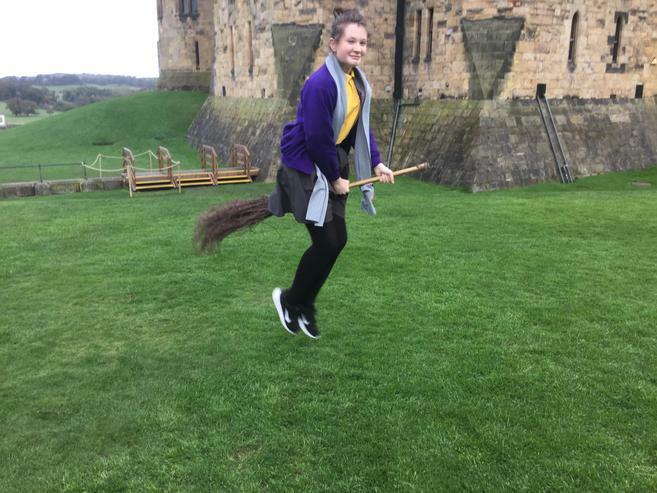 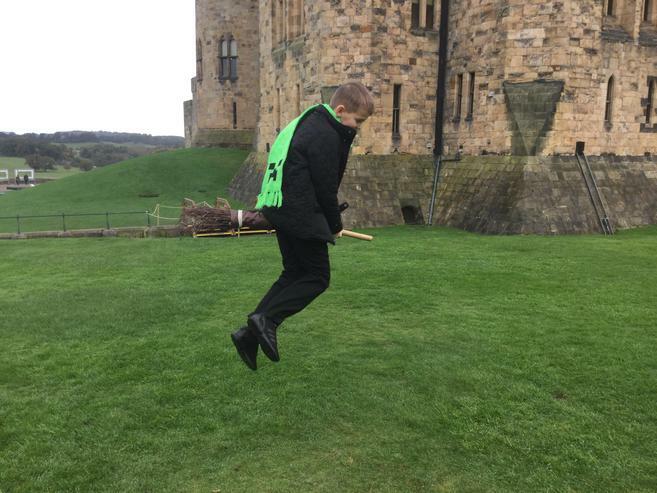 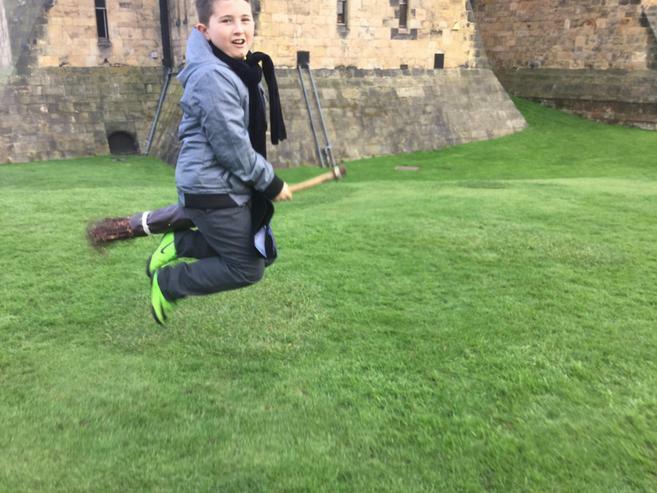 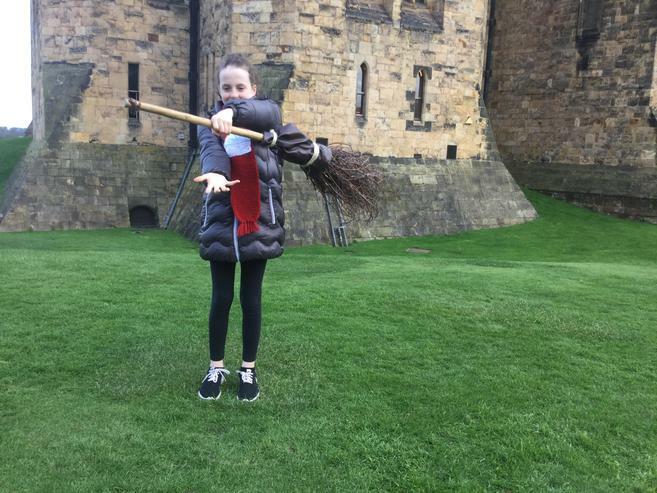 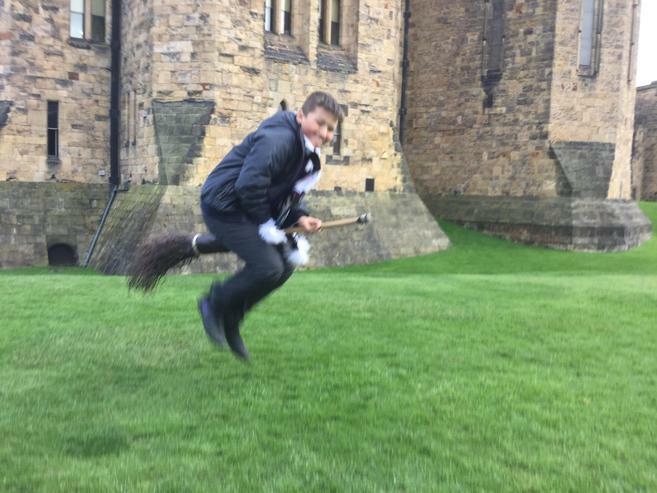 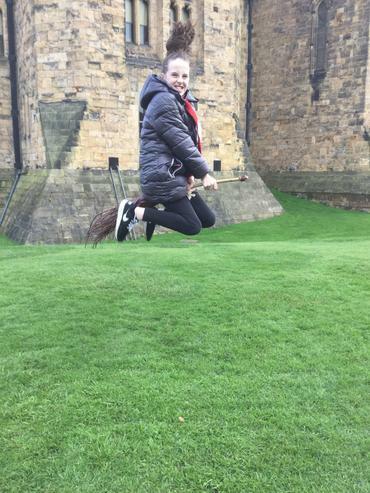 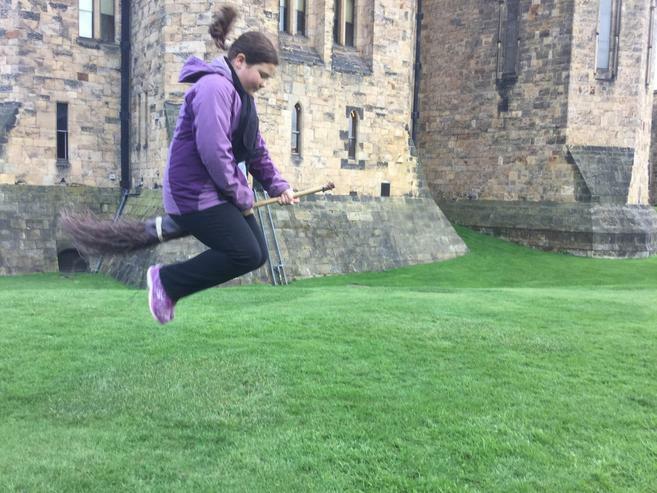 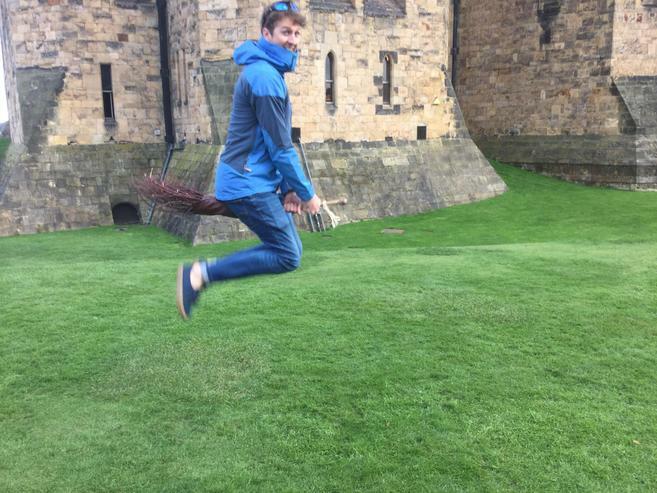 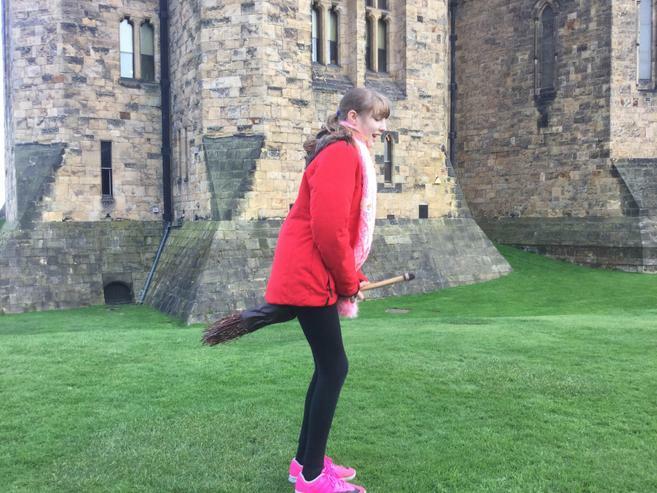 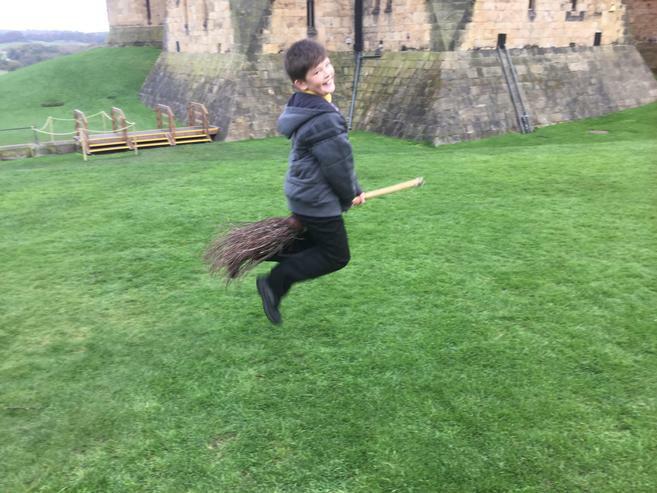 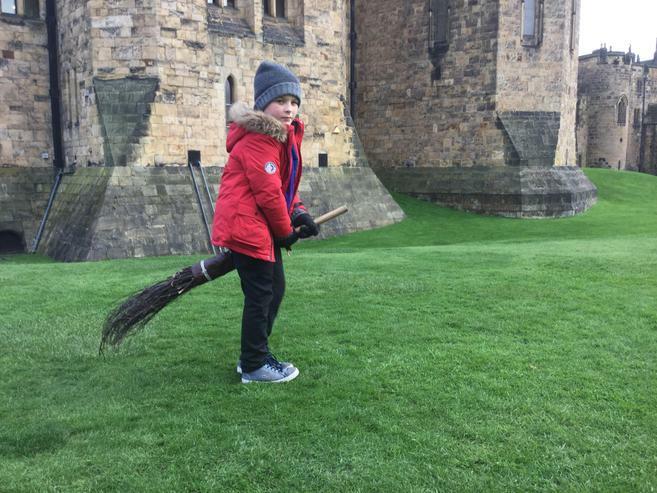 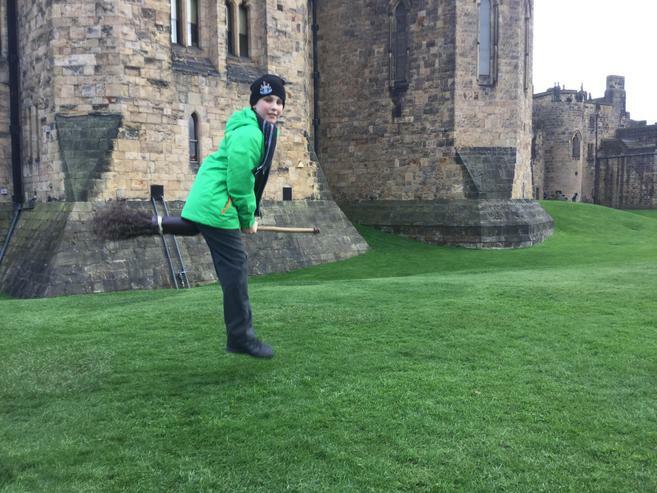 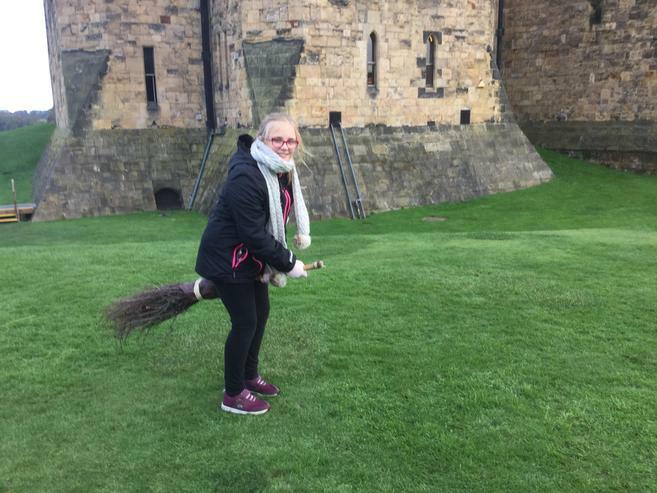 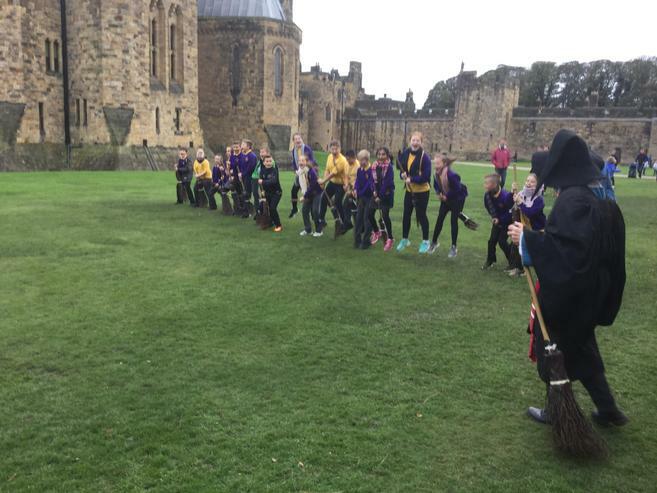 18.10.17 Year 6 had a fantastic time at Alnwick Castle, spotting scenes from the Harry Potter films. 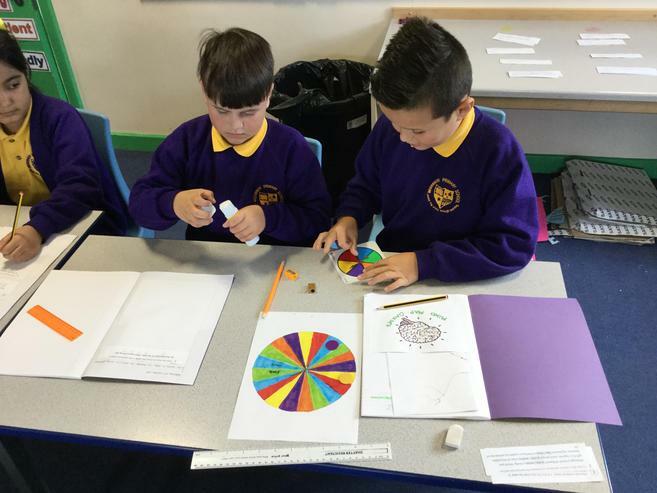 16.10.17 Look at our fantastic DT projects! 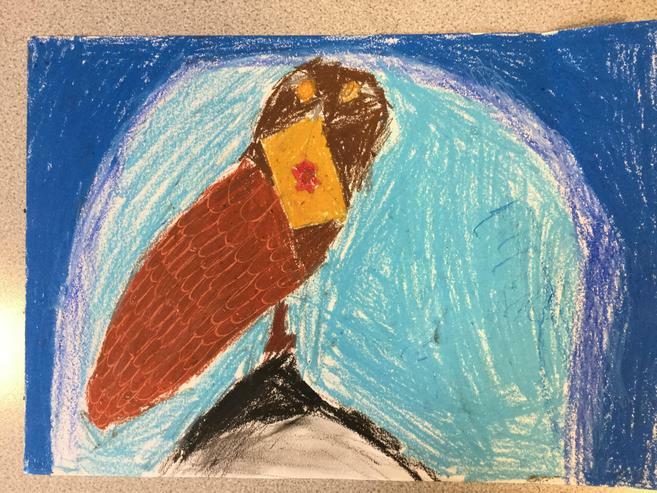 We designed our own coat of arms to represent ourselves. 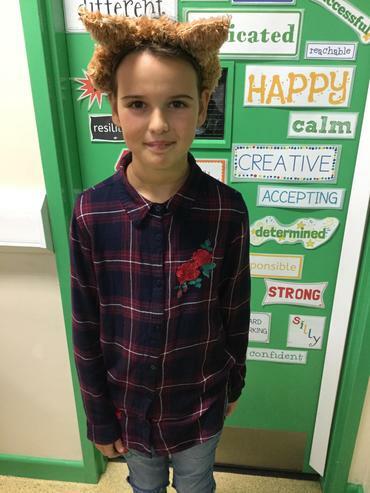 We then used cross stitch to sew our pattern and then we attached it to a scarf! 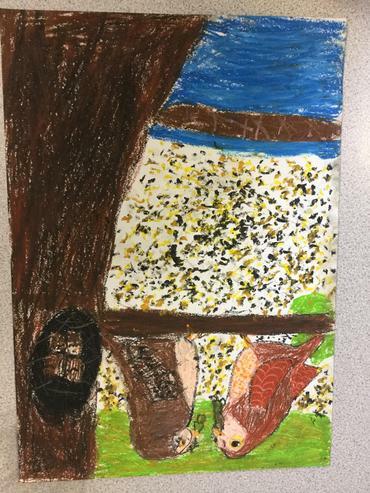 Don't they look great? 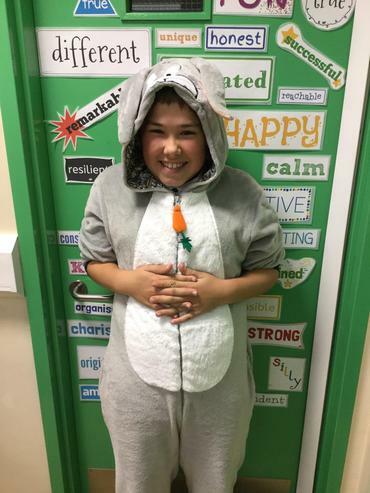 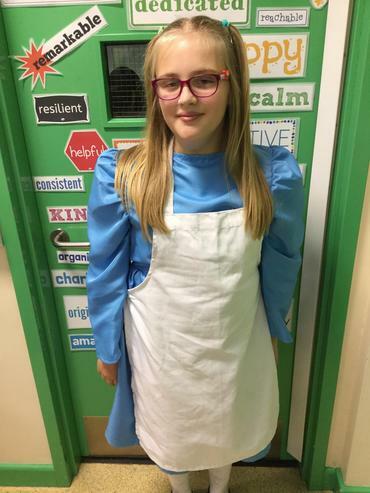 16.10.17 Look who came to visit Year 6.... Beatrix Potter! 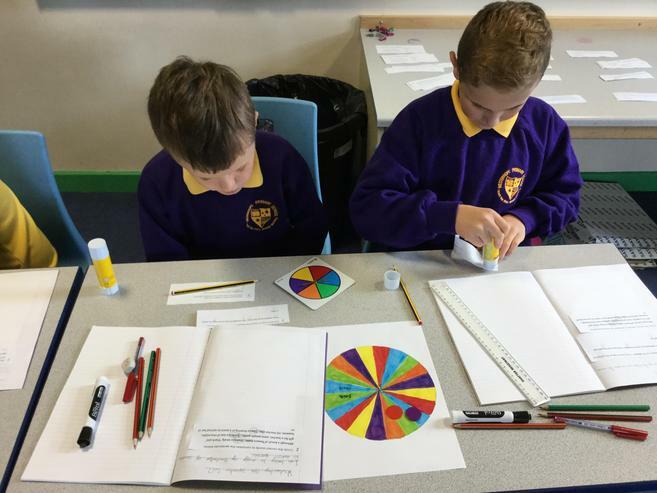 16.10.17 Reading week! 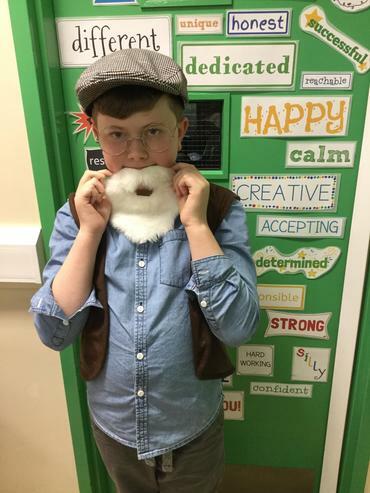 This week our theme is Beatrix Potter. 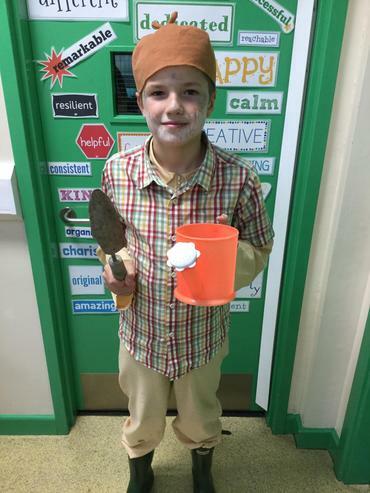 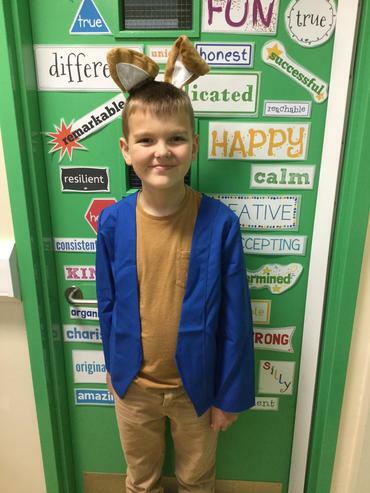 Lots of children came to school dressed up in fancy dress inspired by Beatrix Potter stories. 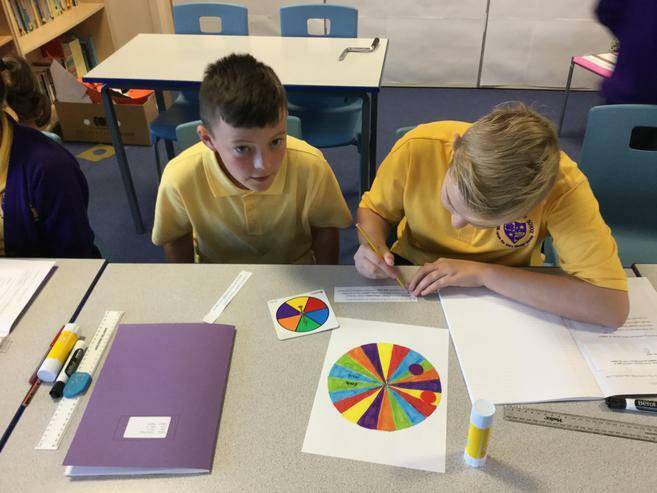 12.10.17 - Year 6 enjoyed their Bikeability lessons. 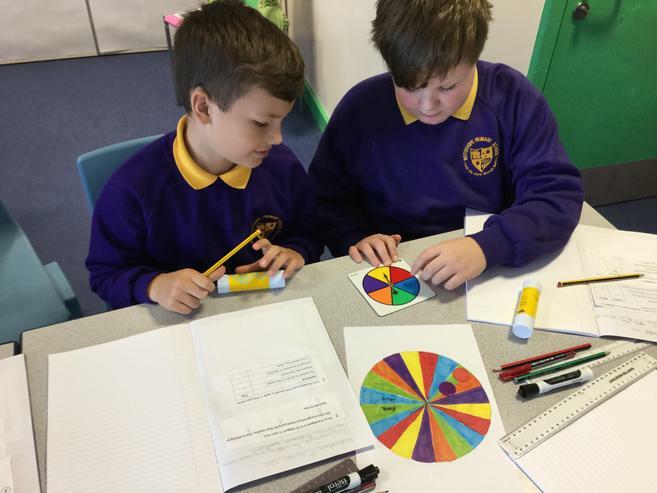 Maths - Playing Connect 3 to develop our understanding of positive and negative numbers. 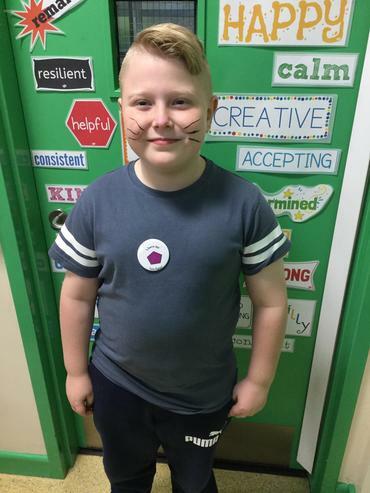 Meet our wonderful Peer Supporters. 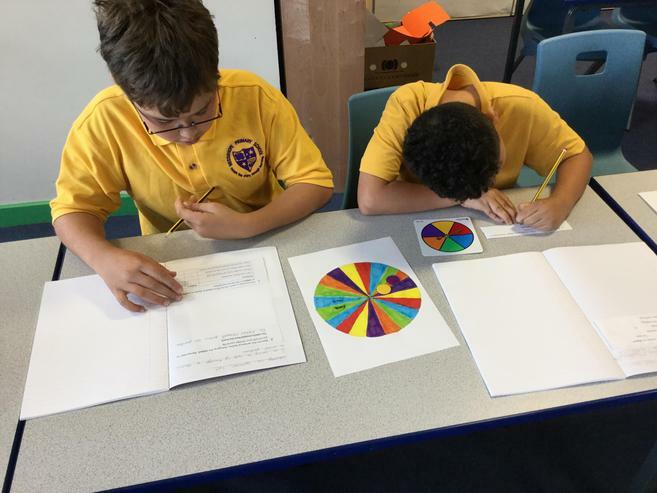 Their applications forms and interviews were fantastic. 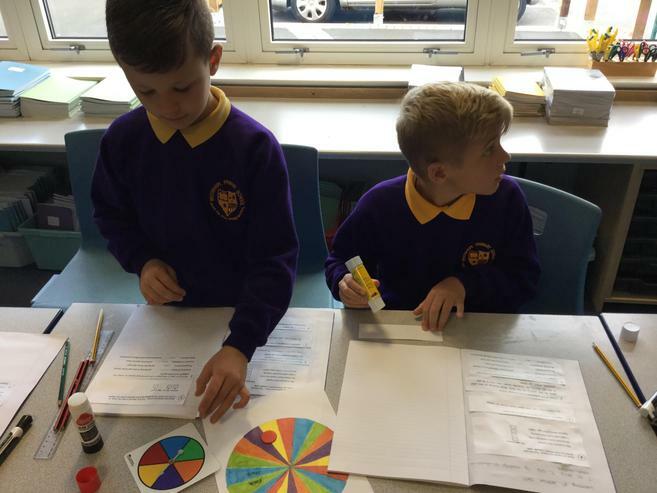 They work hard every day to support younger children around school. 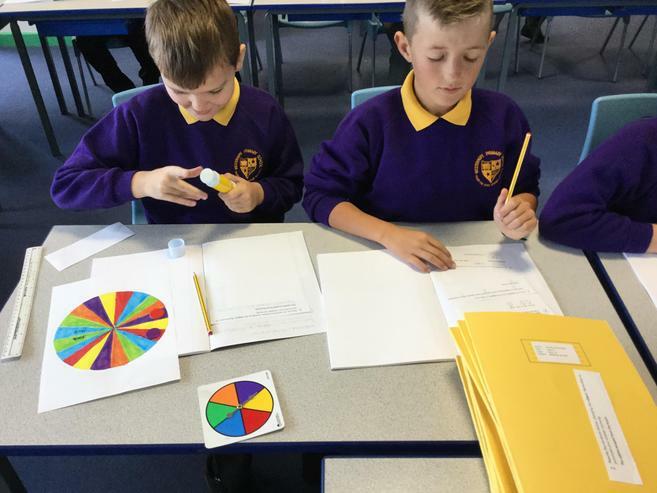 They are a great asset to the school. 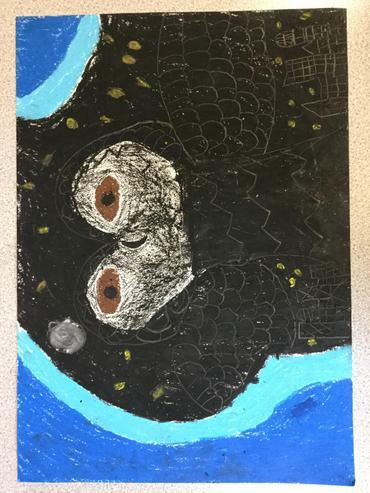 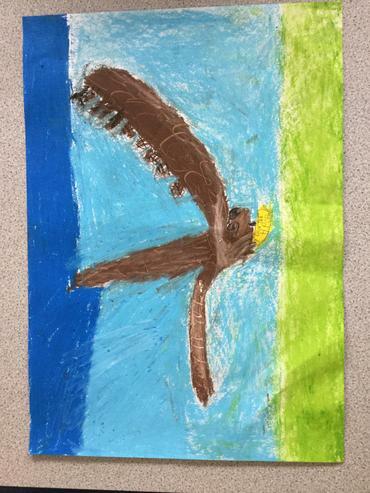 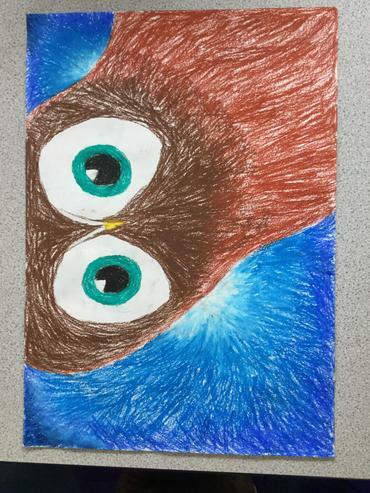 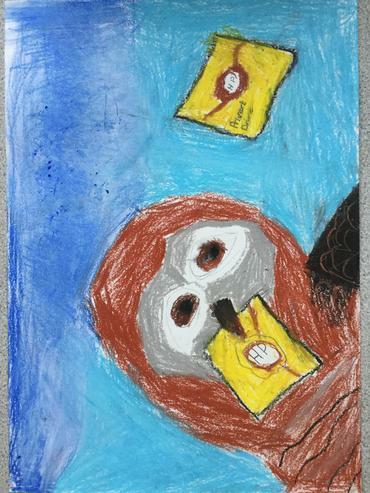 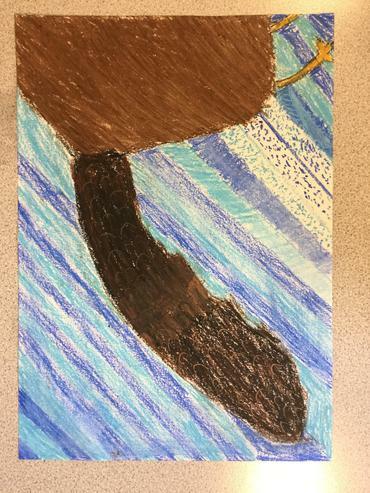 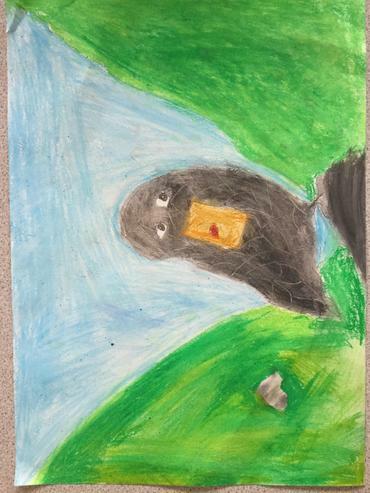 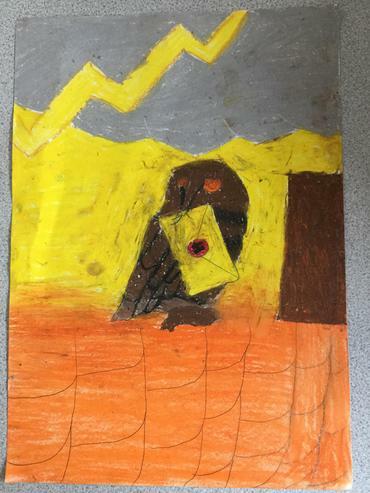 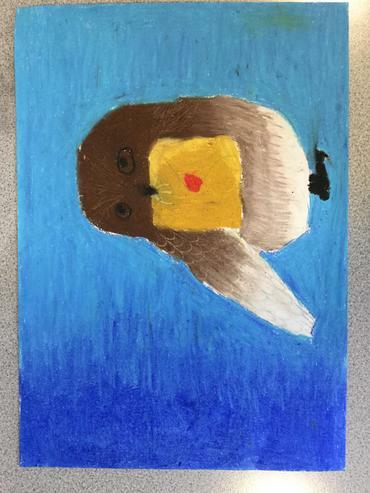 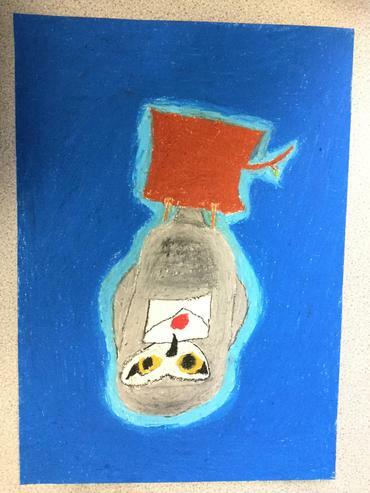 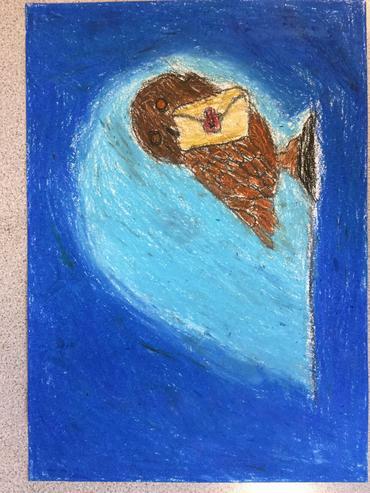 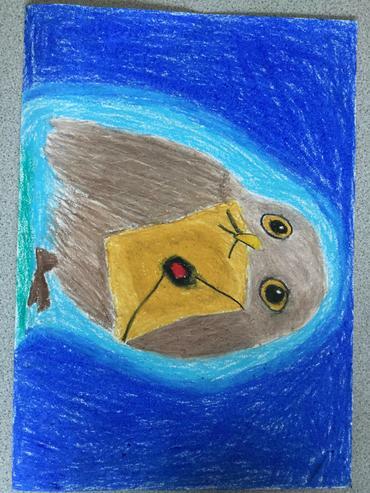 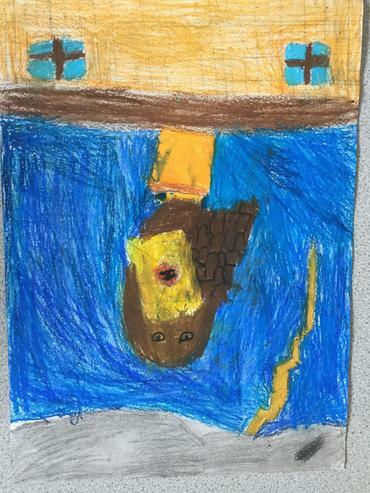 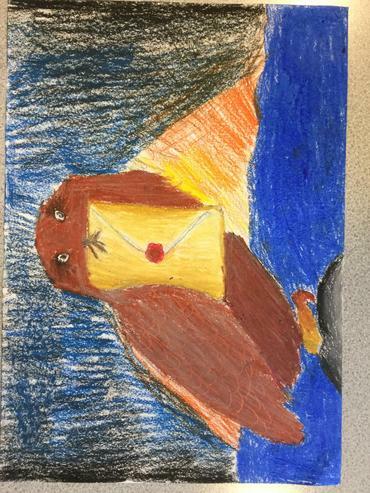 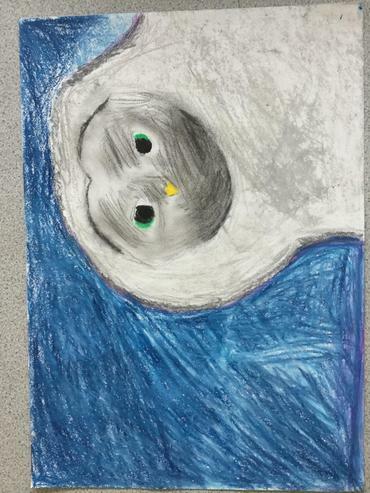 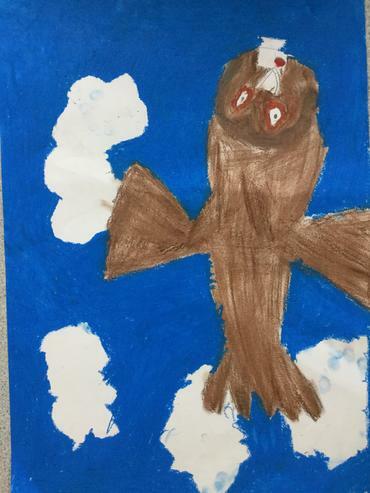 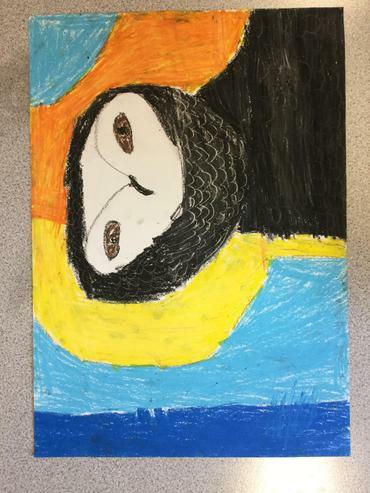 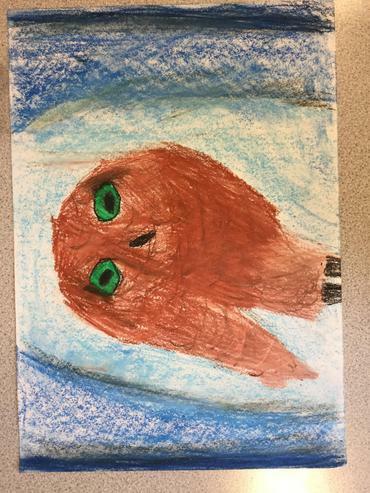 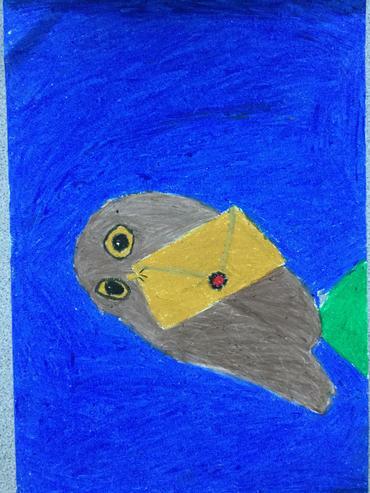 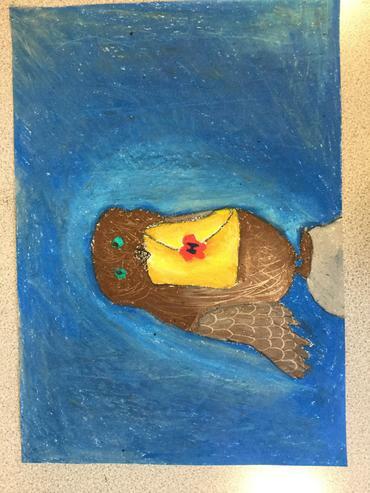 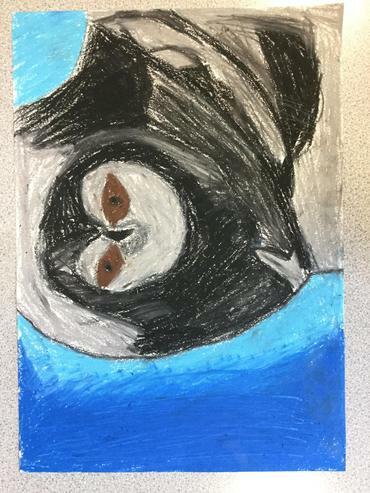 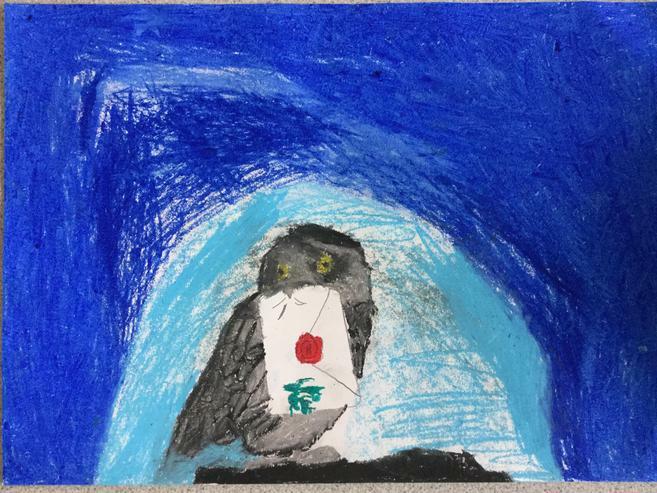 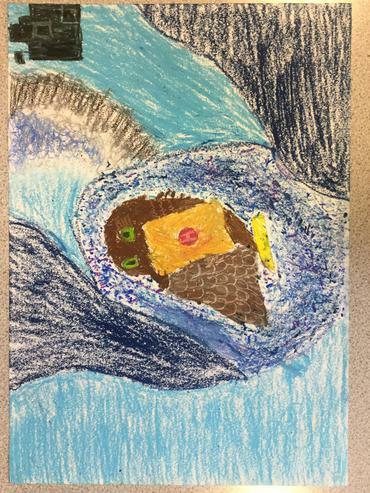 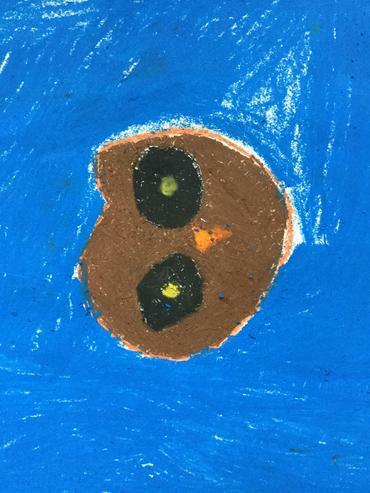 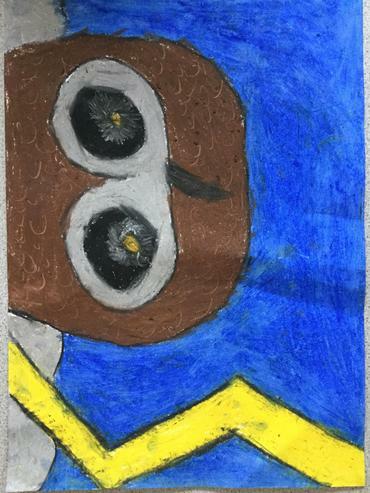 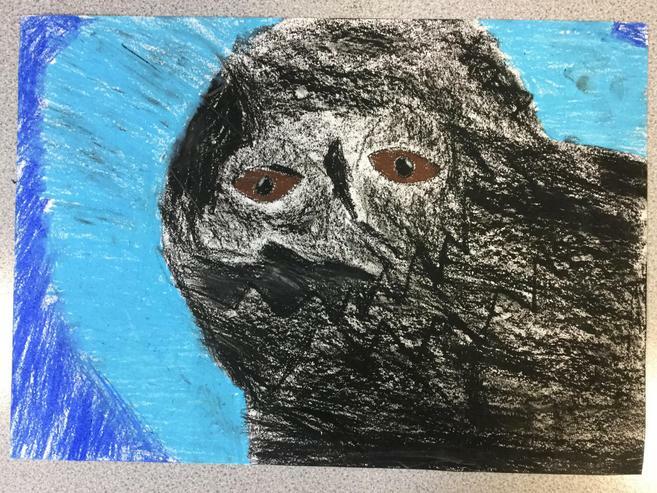 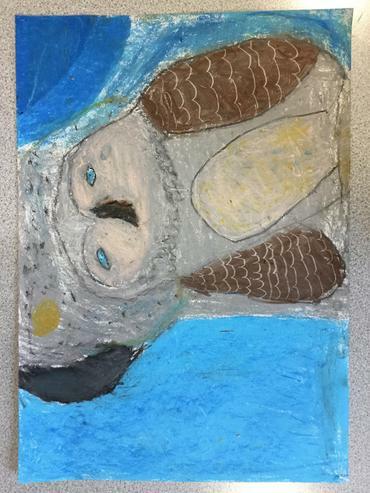 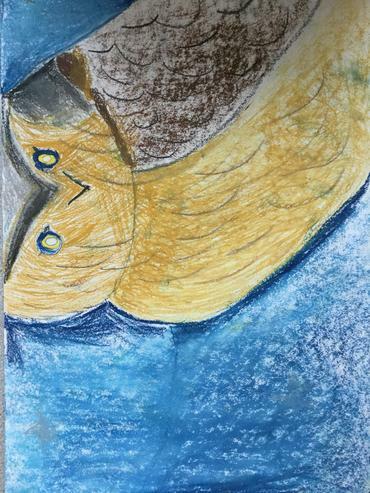 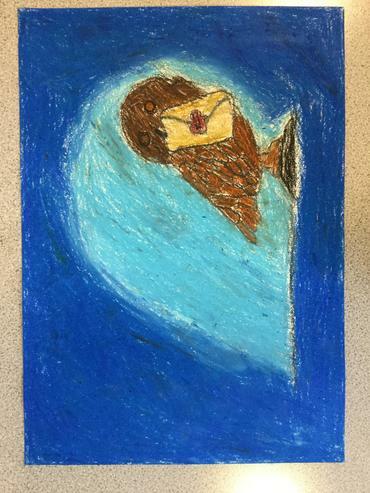 Year 6 had a hoot this afternoon finishing their Harry Potter Owl art - and don't they look fantastic! 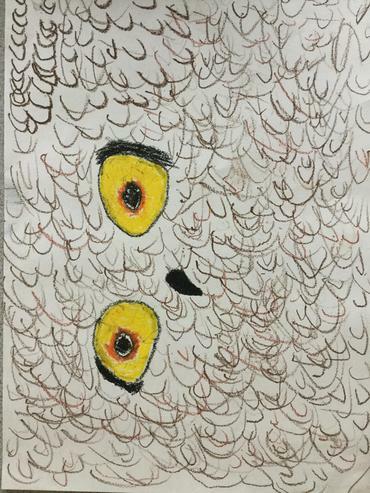 Ask them about the techniques they used such as blending, stippling, scrumpling and scraffito and they will share some of their wisdom with you. 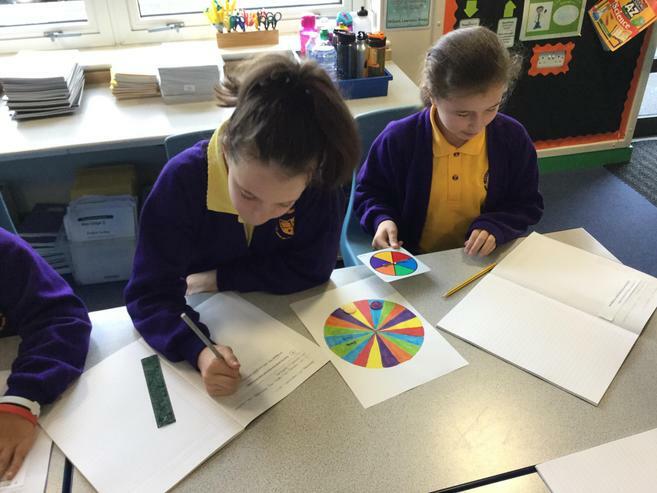 This week, year 6 have been learning about clauses in their English lessons. 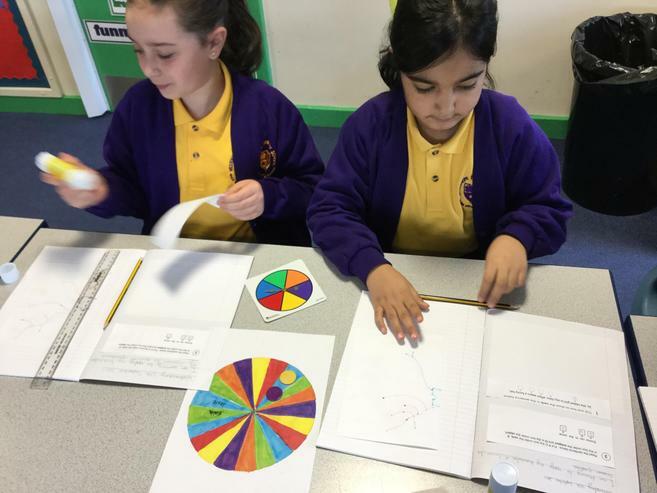 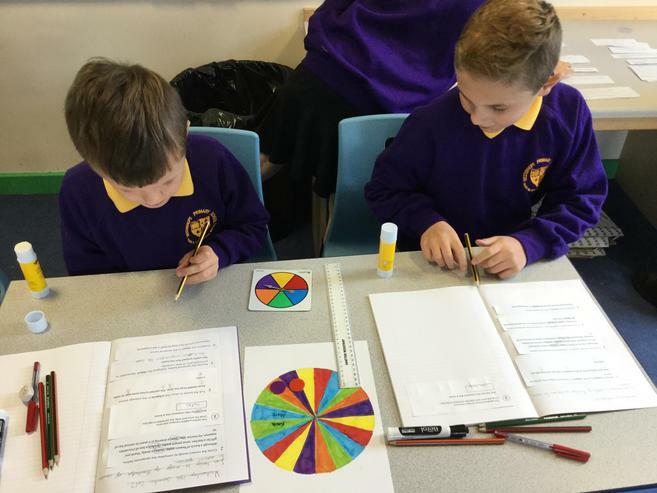 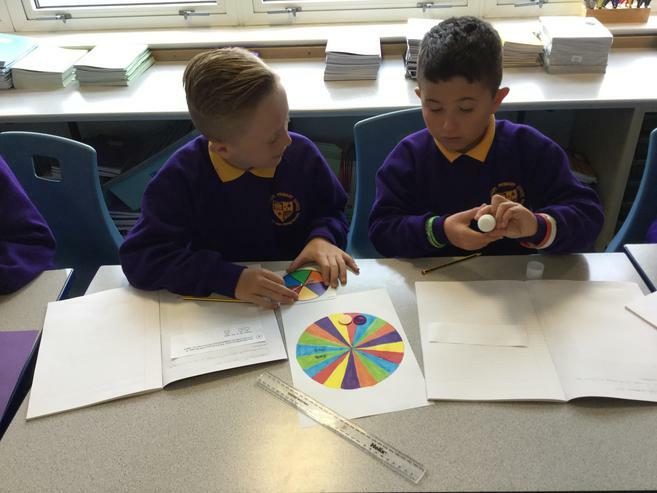 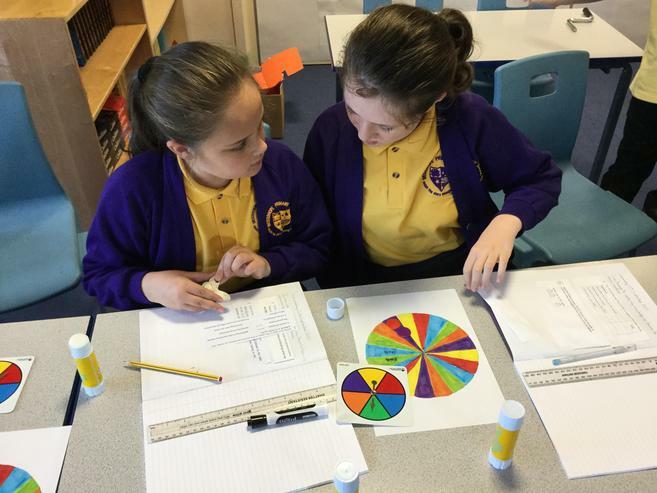 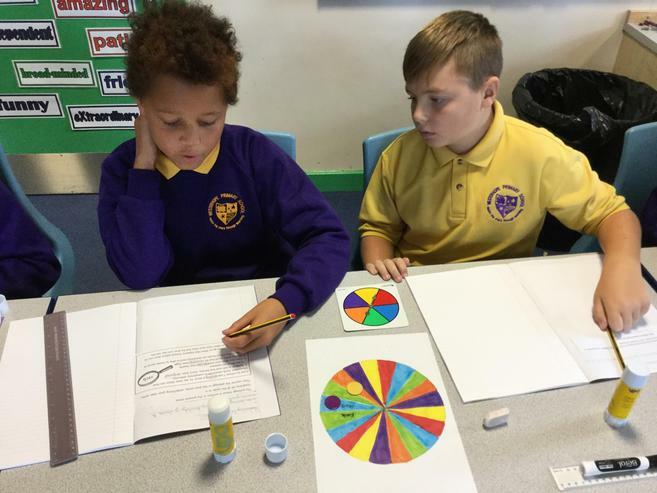 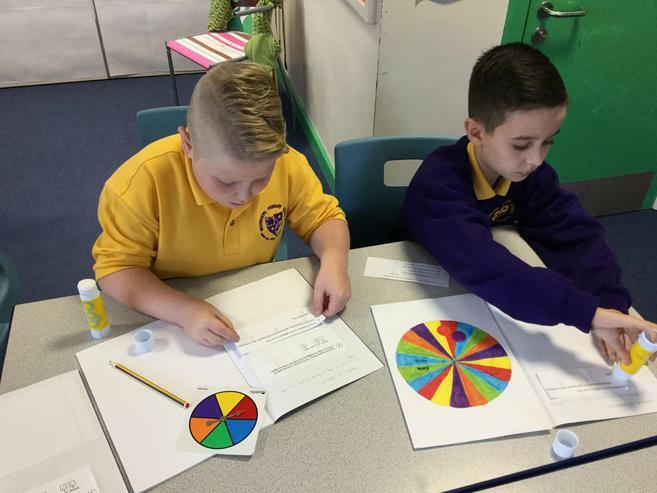 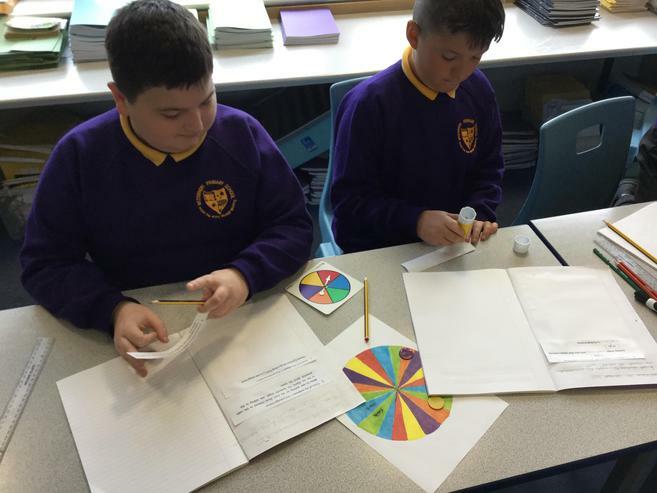 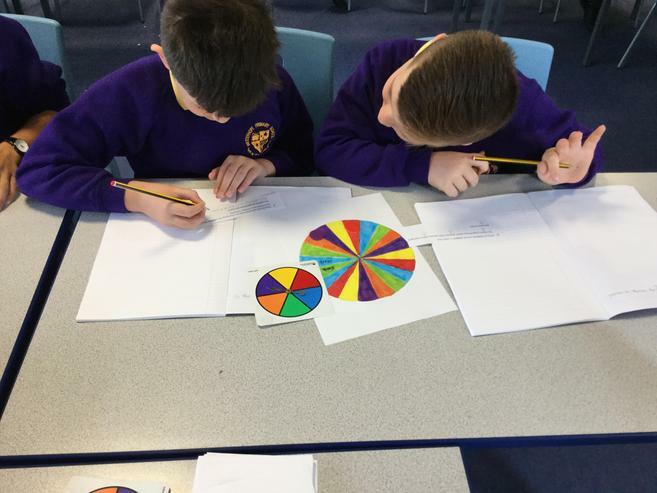 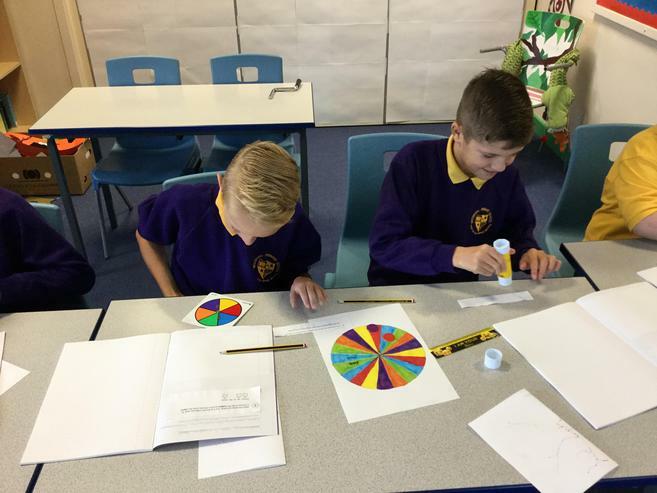 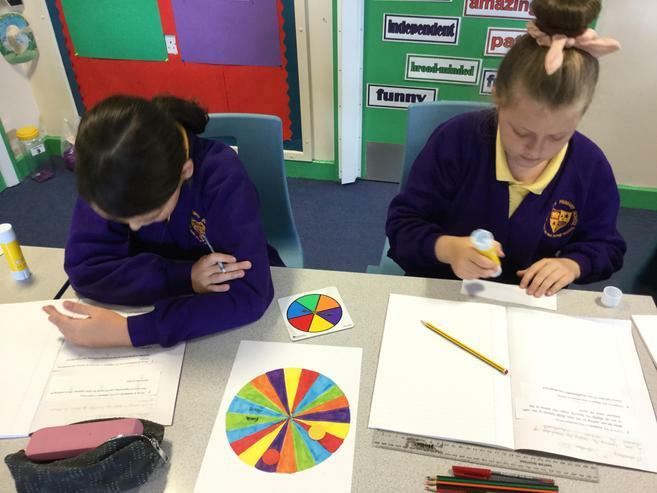 They were able to label sentences with subject, verb and object and they enjoyed playing 'Clause Spinner' with their partners to apply their knowledge. 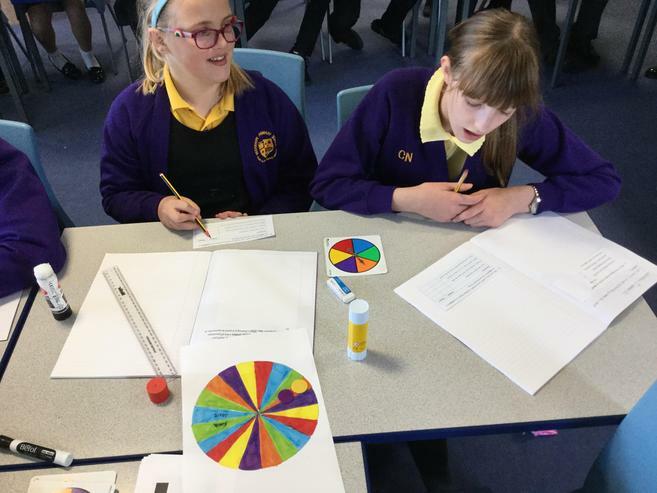 E-Safety - Mr Bell's toothpaste demonstration! 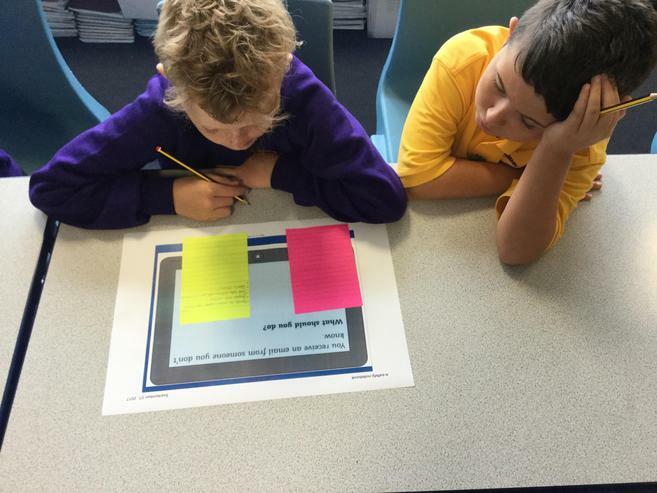 Today we worked in teams to think about how to stay safe online. 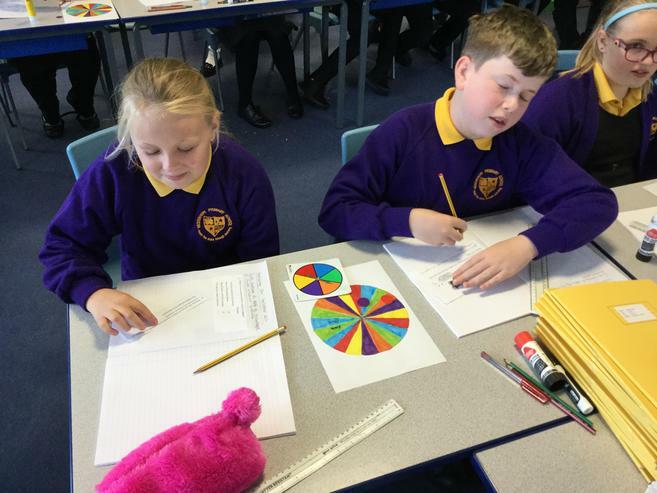 We looked at various different scenarios and discussed what might go wrong and what we could do to rectify the situation. 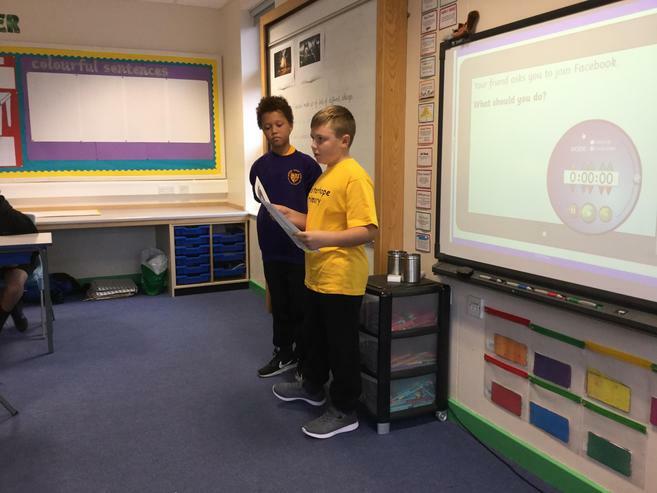 We also presented our ideas in front of the class. 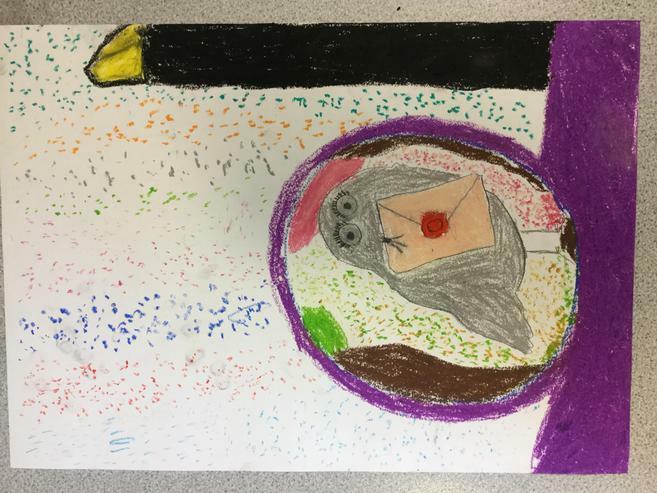 Les Portraits is our first topic in French. 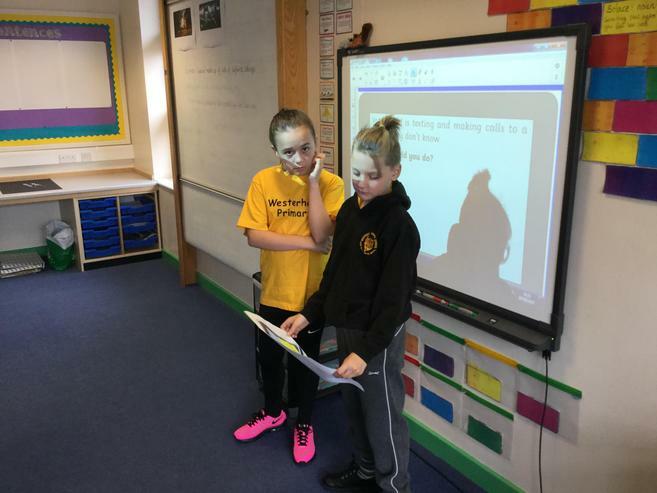 We are learning the vocabulary for body parts. 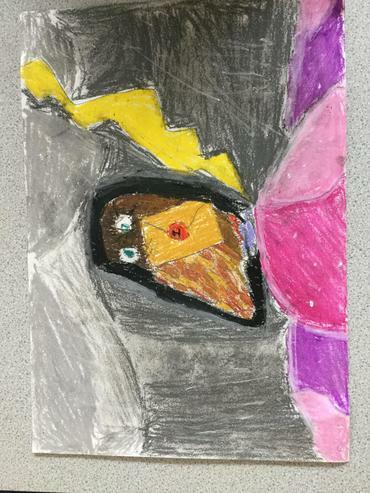 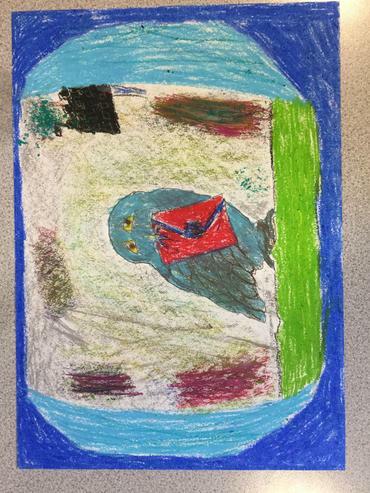 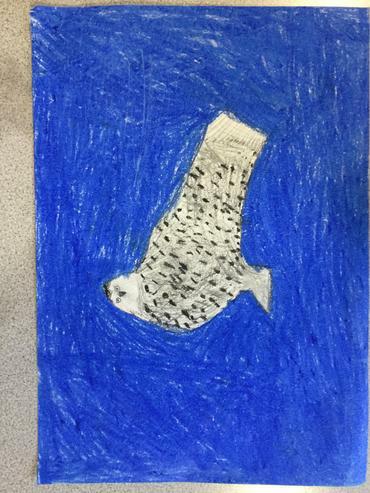 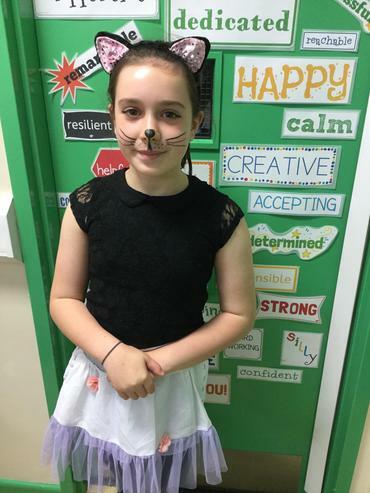 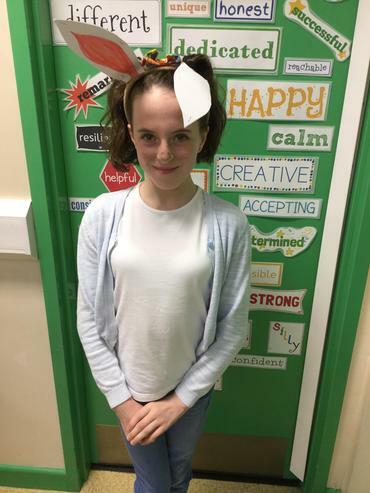 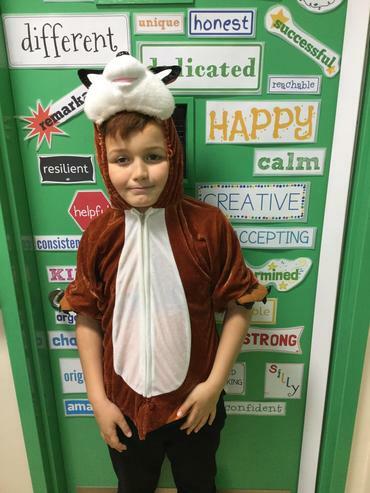 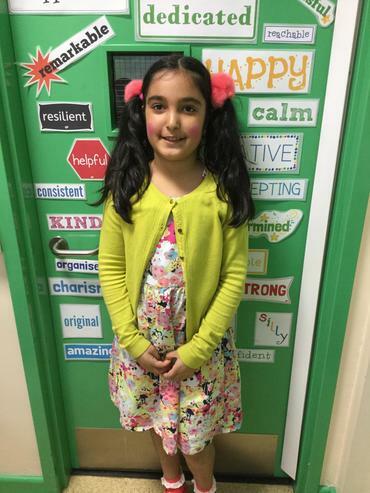 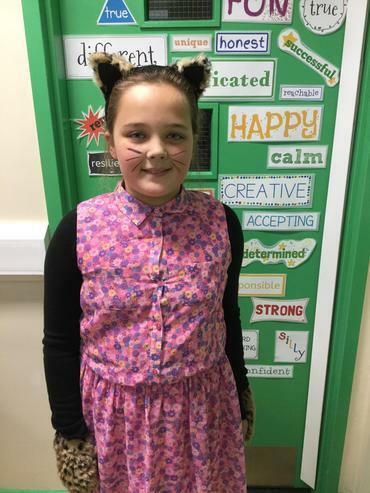 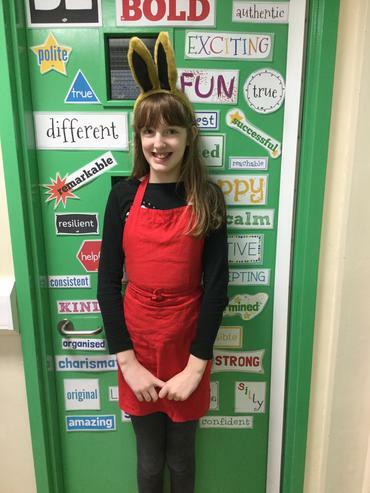 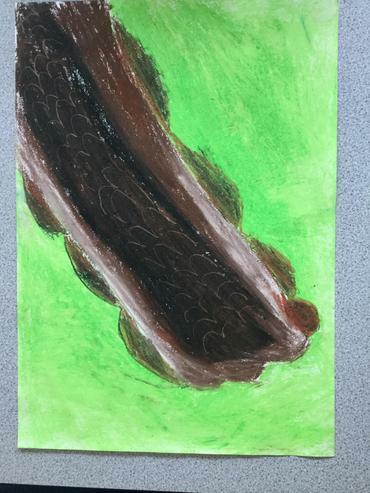 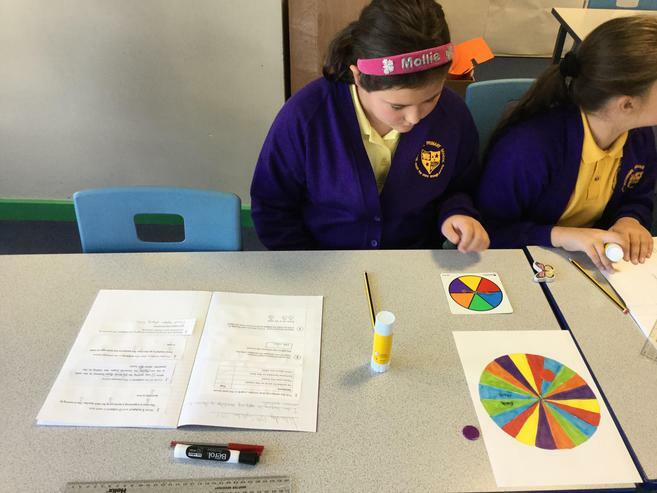 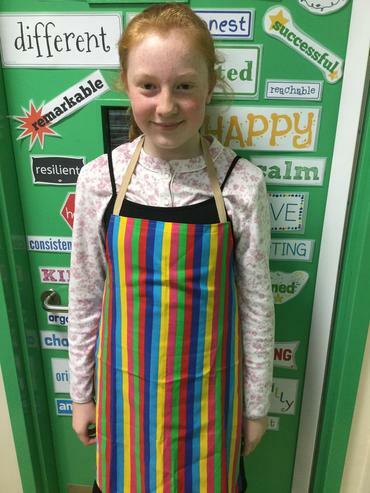 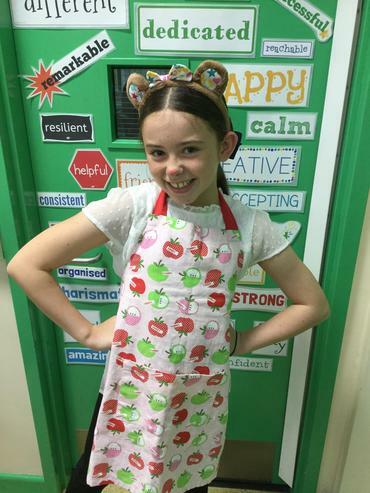 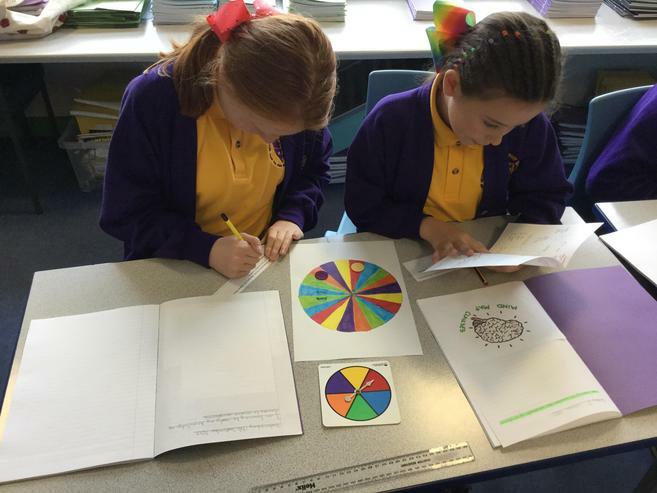 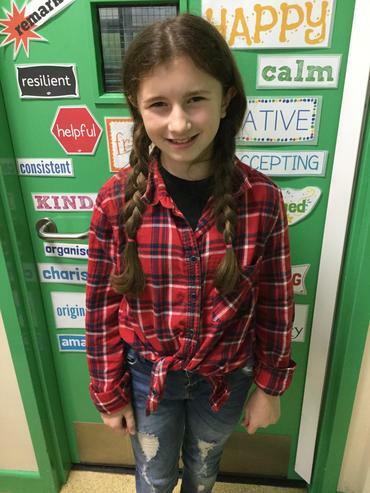 9.917 PSHCE - Year 6 created badges to celebrate their peers' unique qualities and personality traits. 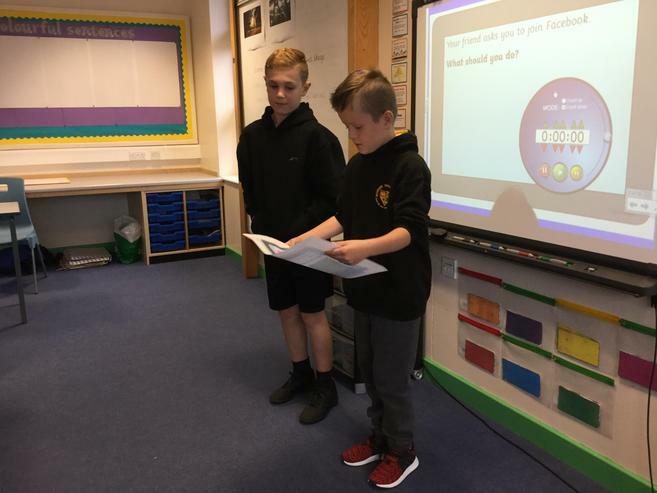 Here they are presenting their badges to each other. 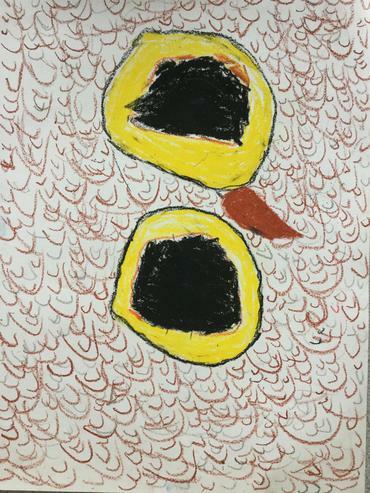 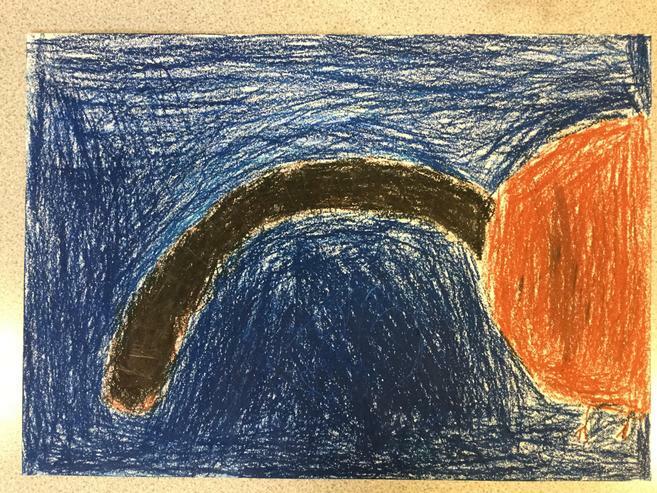 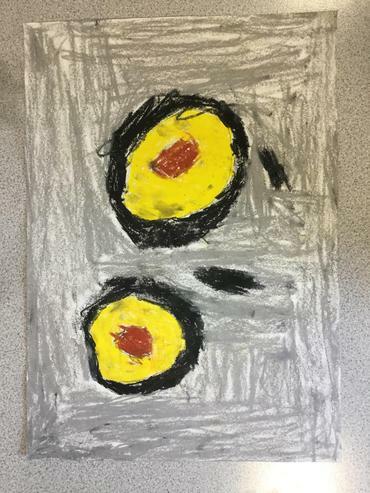 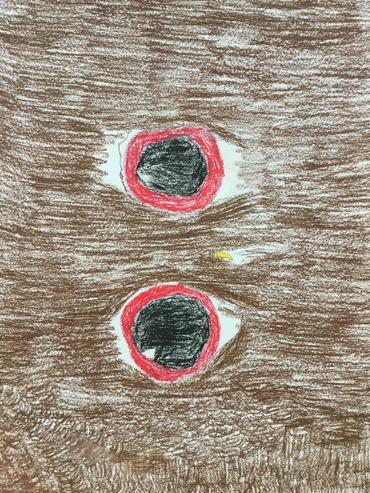 8.9.17 Year 6 read the story 'The Dot' and 'Ish' by Peter Reynolds. 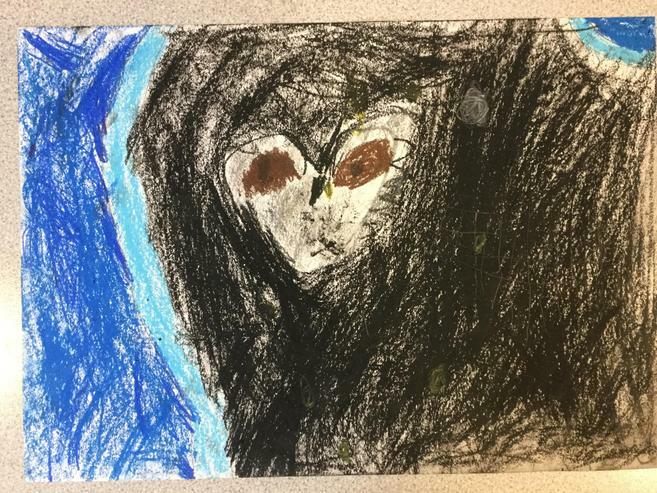 We thought carefully about the lessons that could be learned from reading this story. 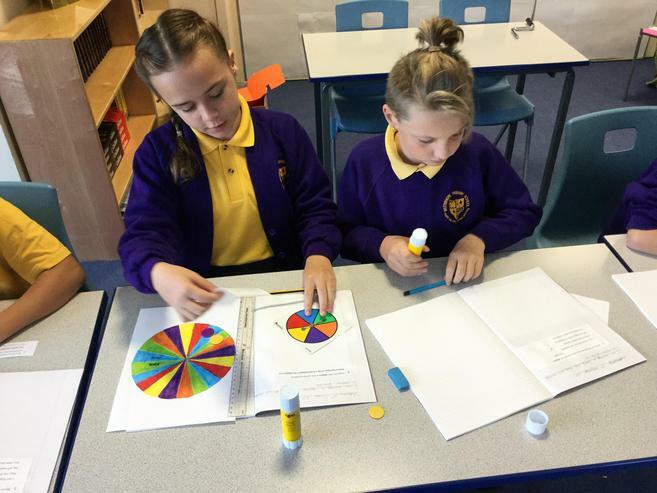 We created our own dots to remind ourselves of these lessons.